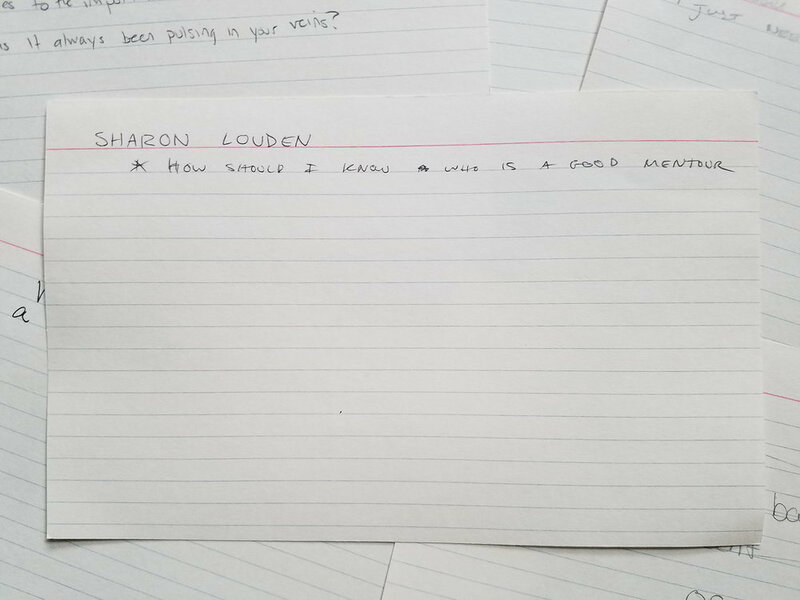 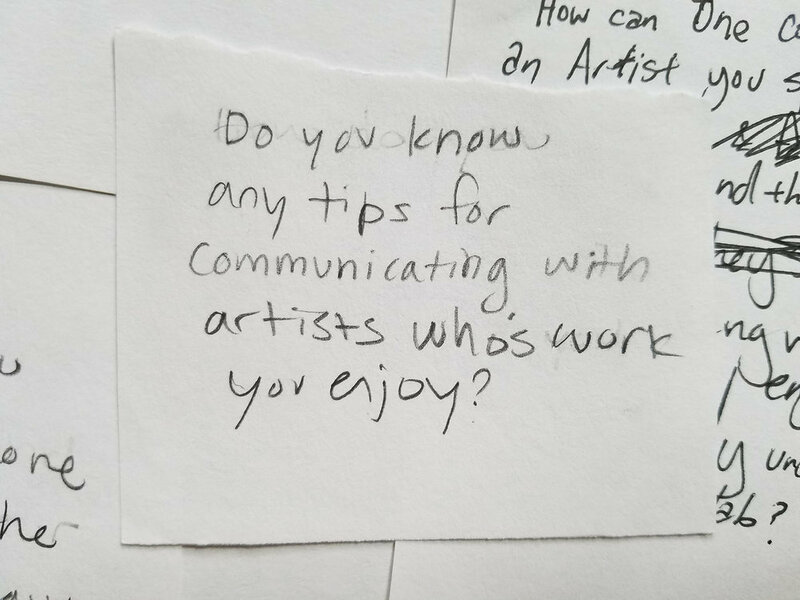 At several stops on the Conversation Tour for The Artist as Culture Producer, Sharon Louden solicited written questions from attendees that she and her fellow panelists would answer. 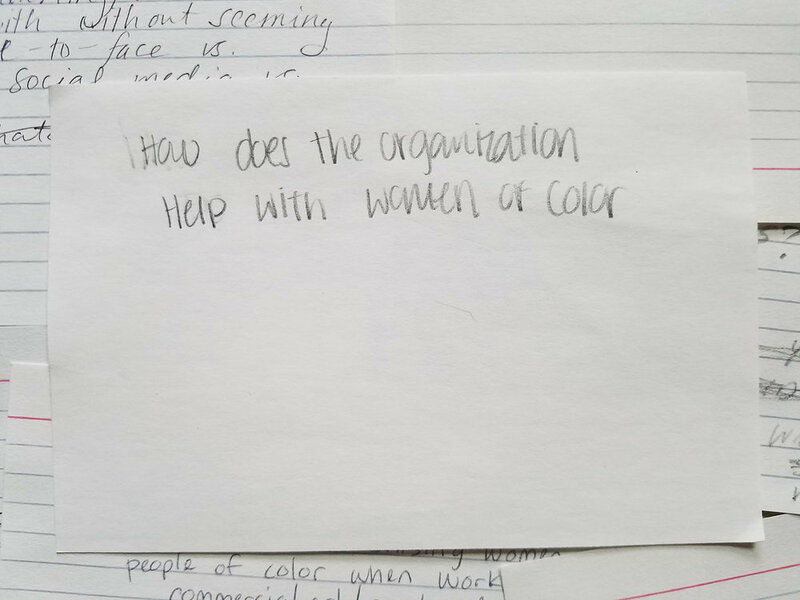 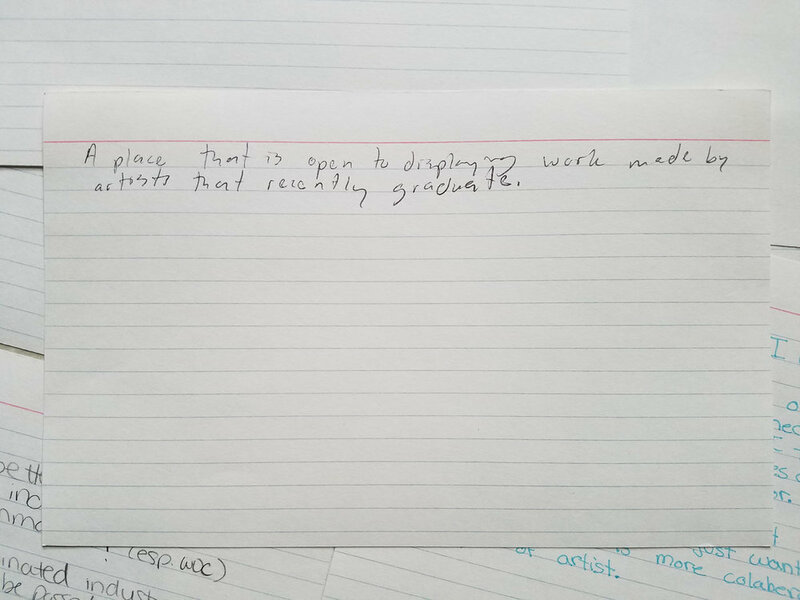 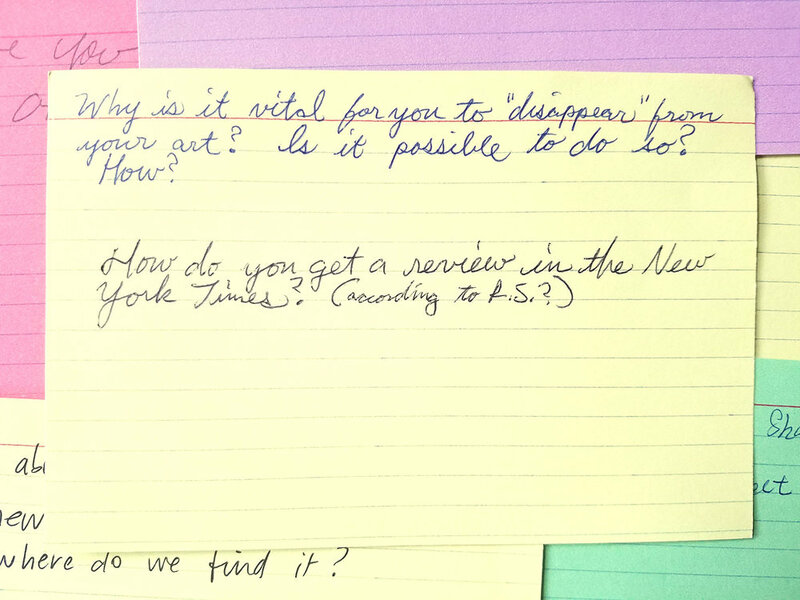 Every written question that was submitted is shown below in chronological order. 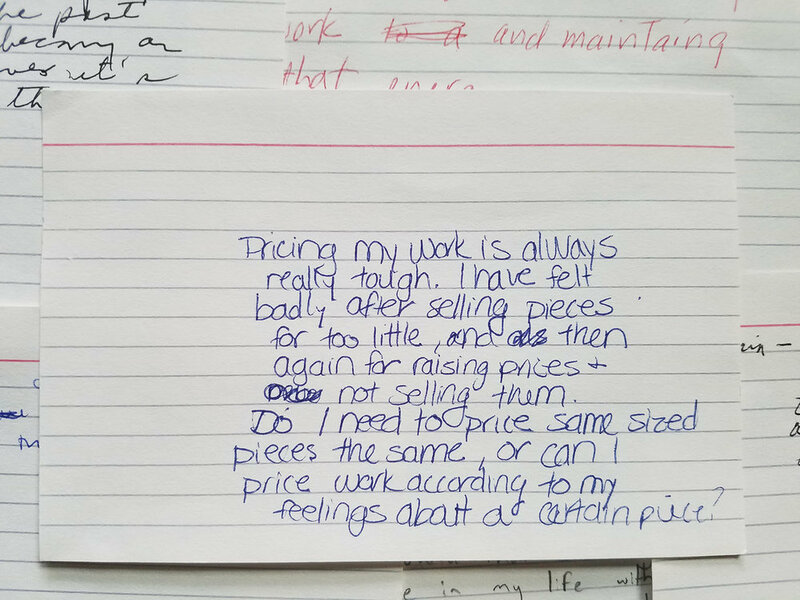 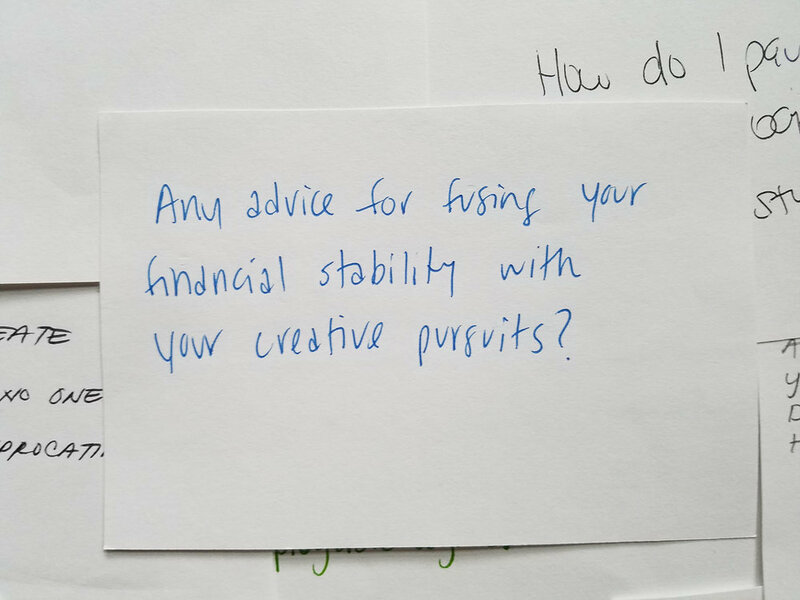 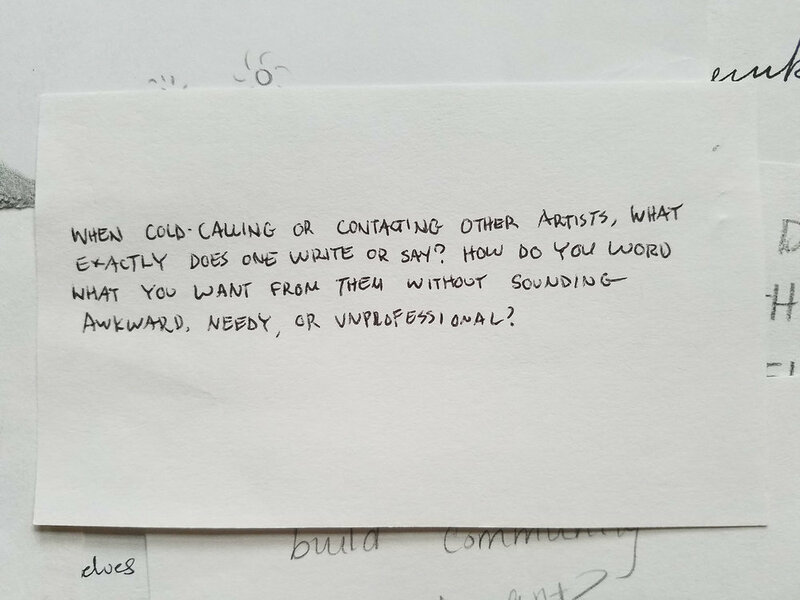 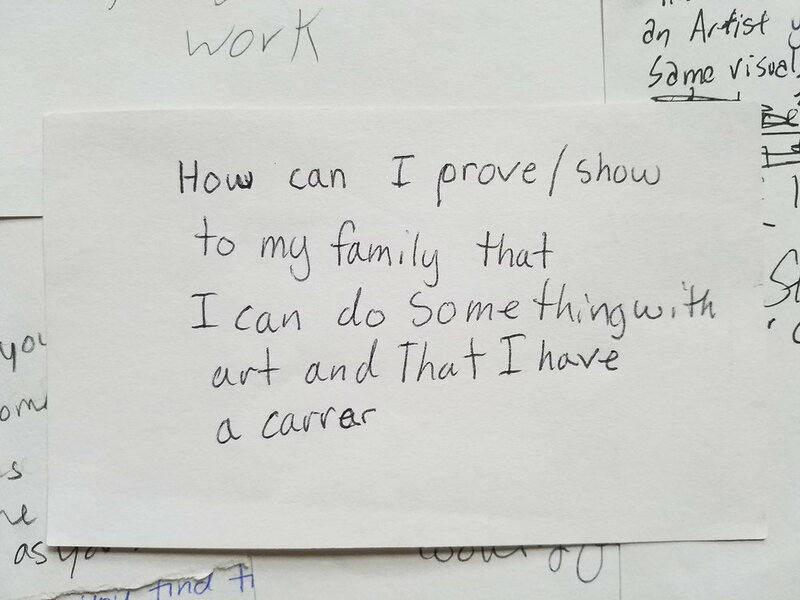 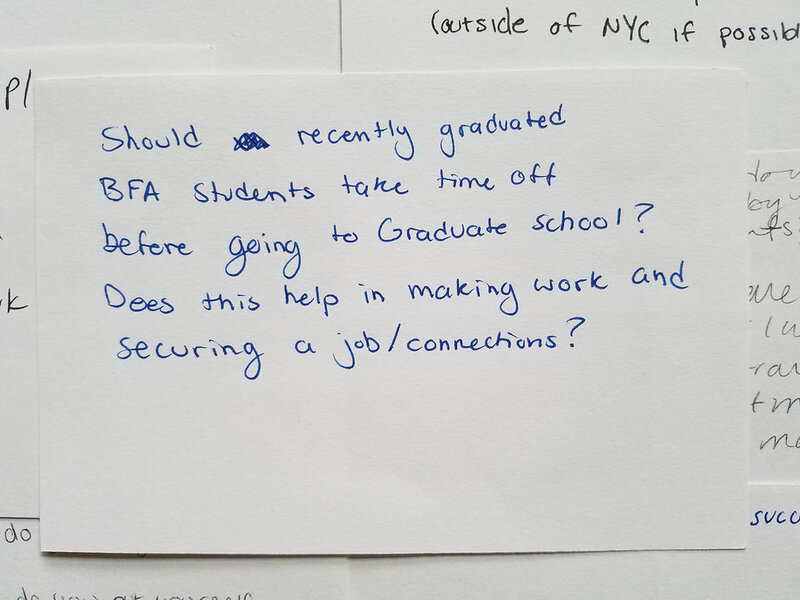 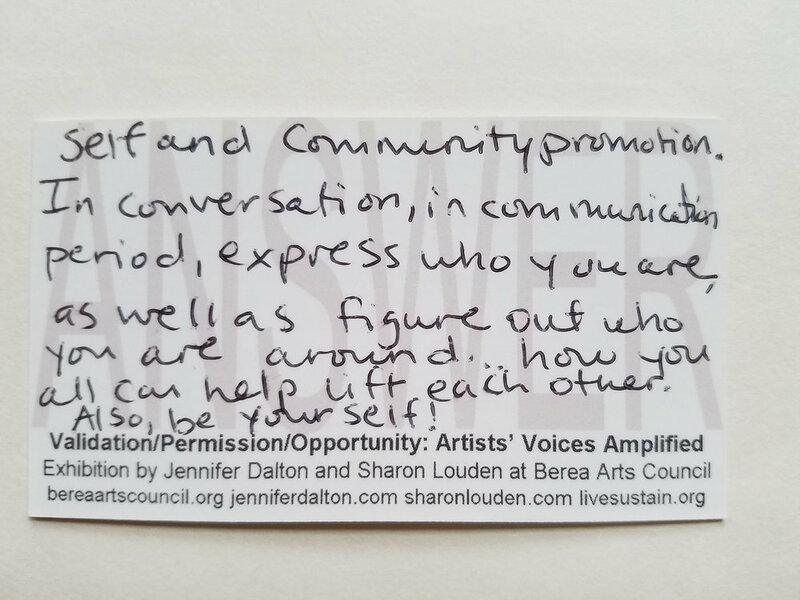 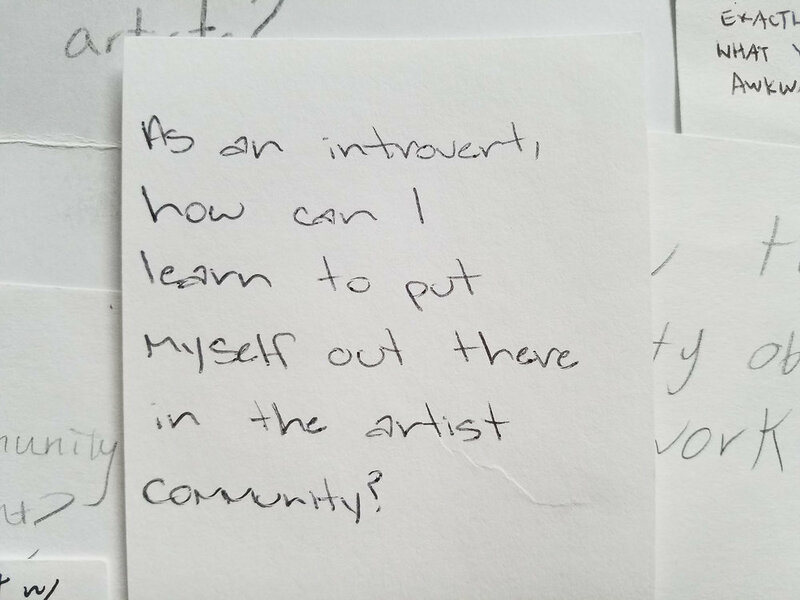 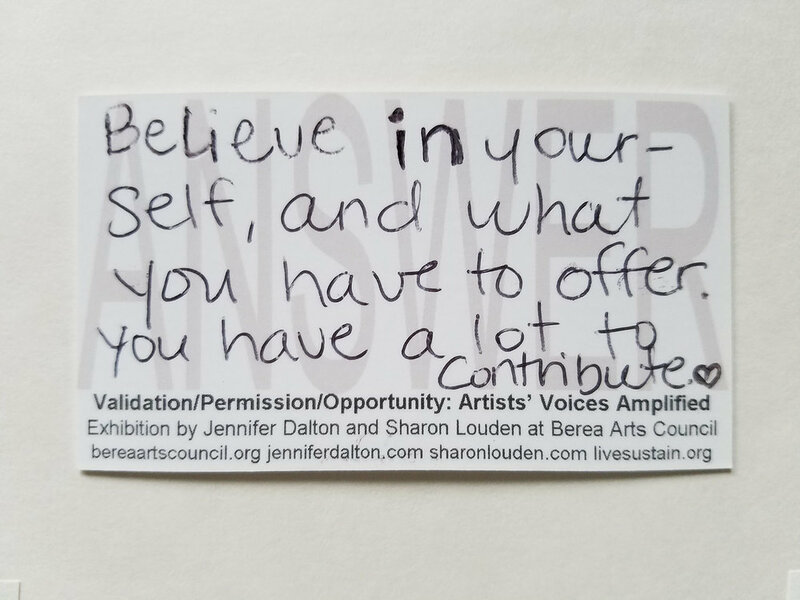 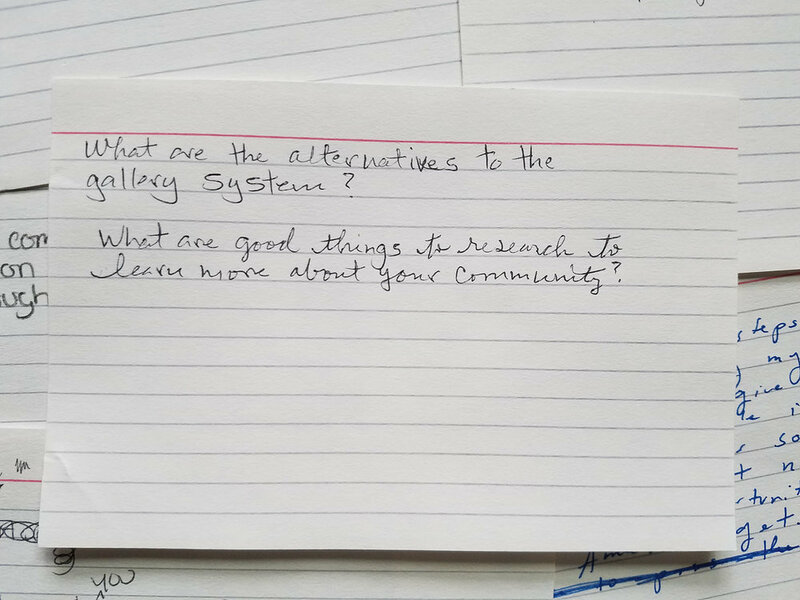 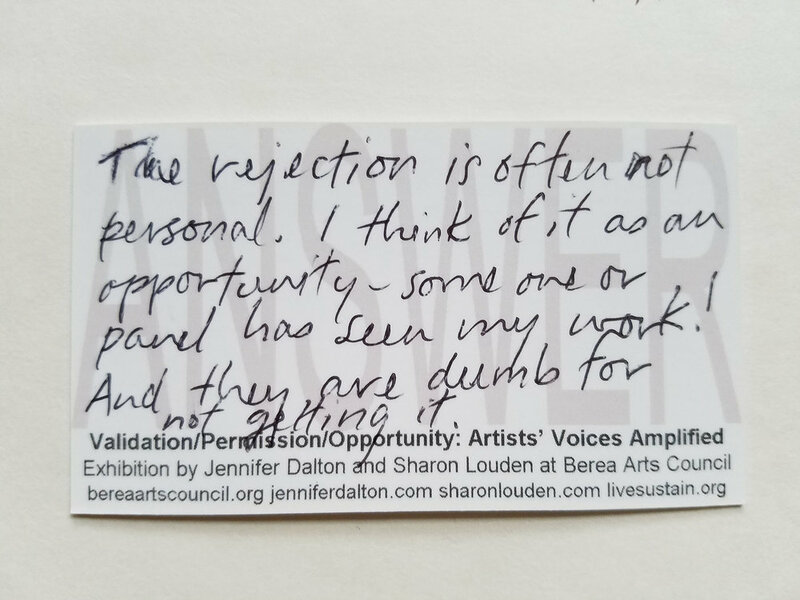 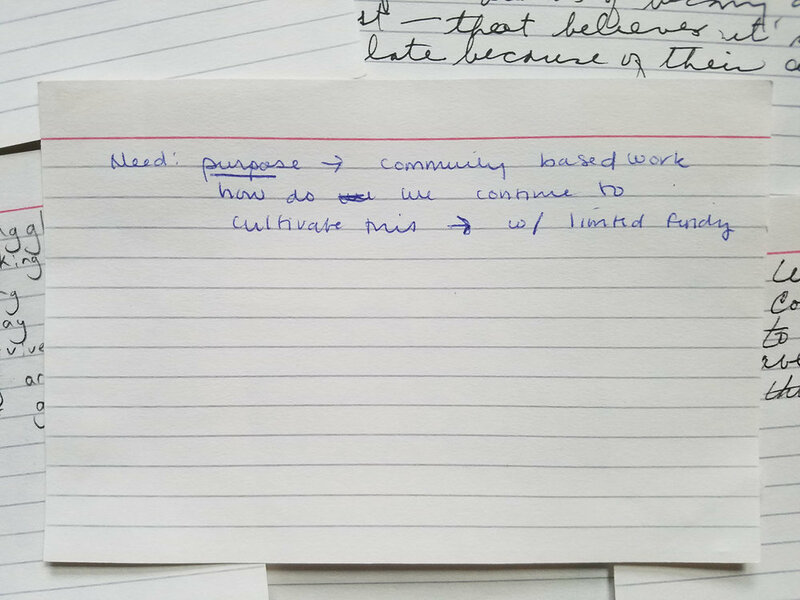 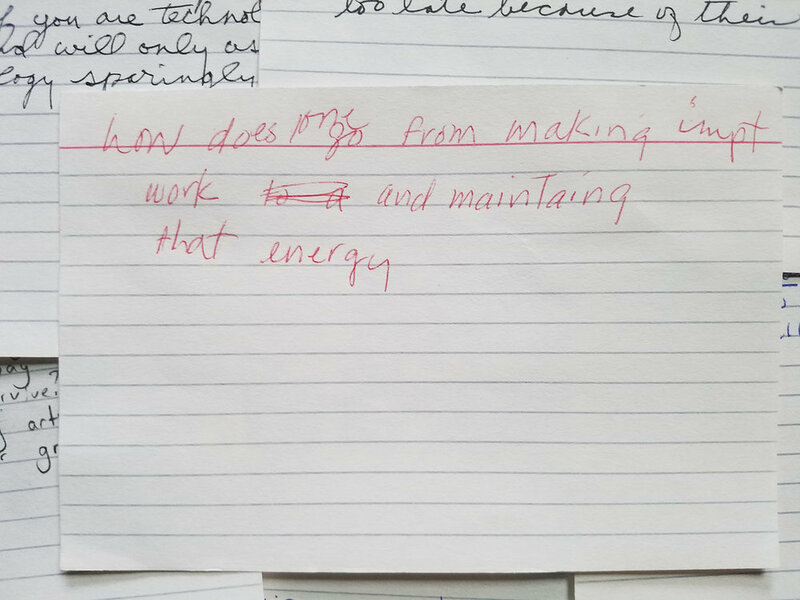 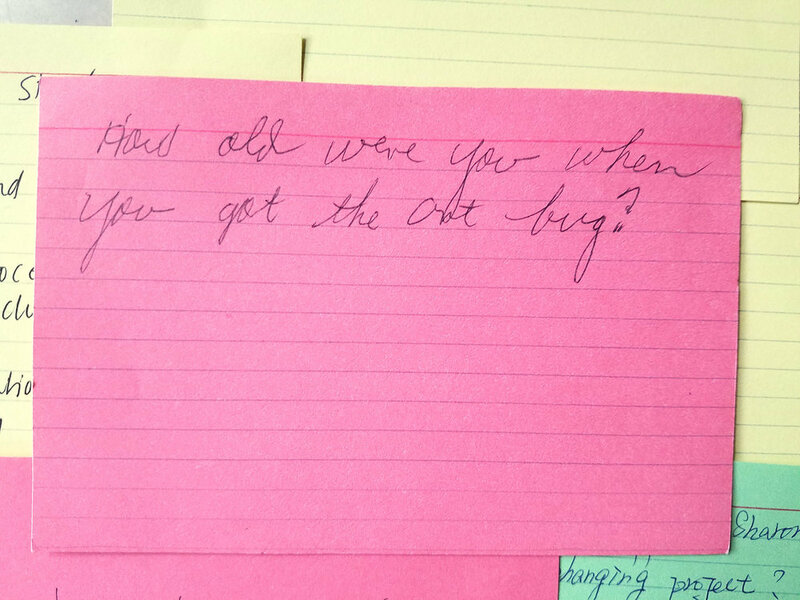 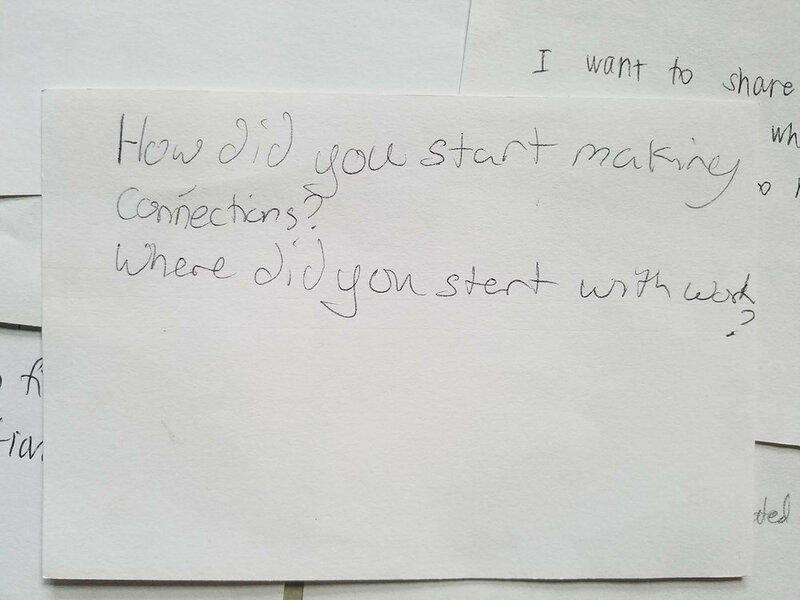 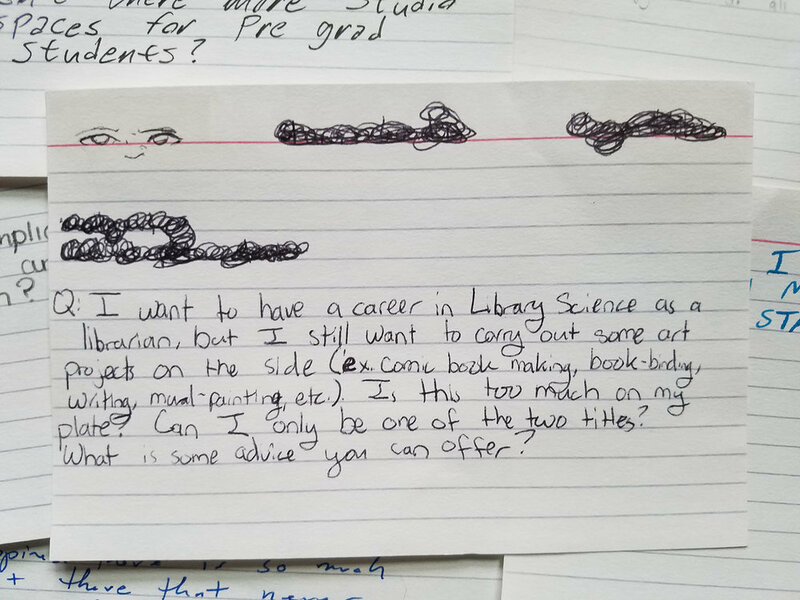 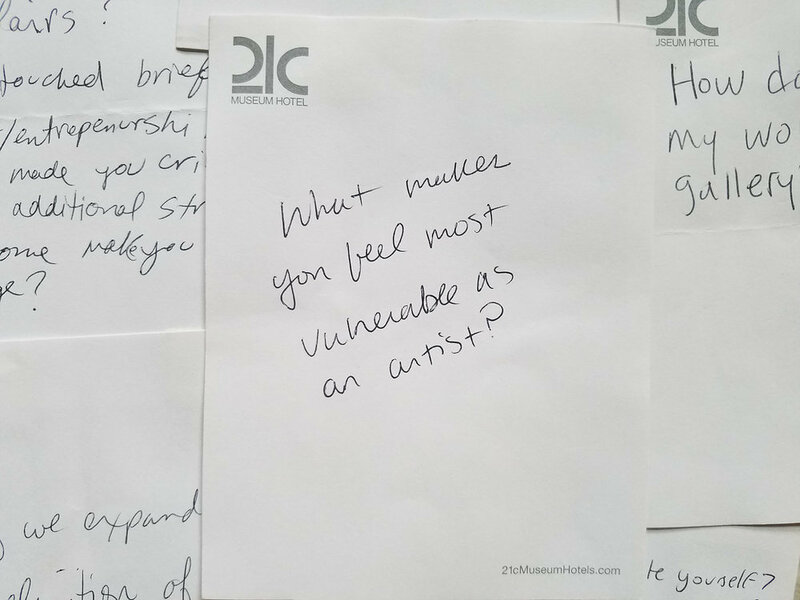 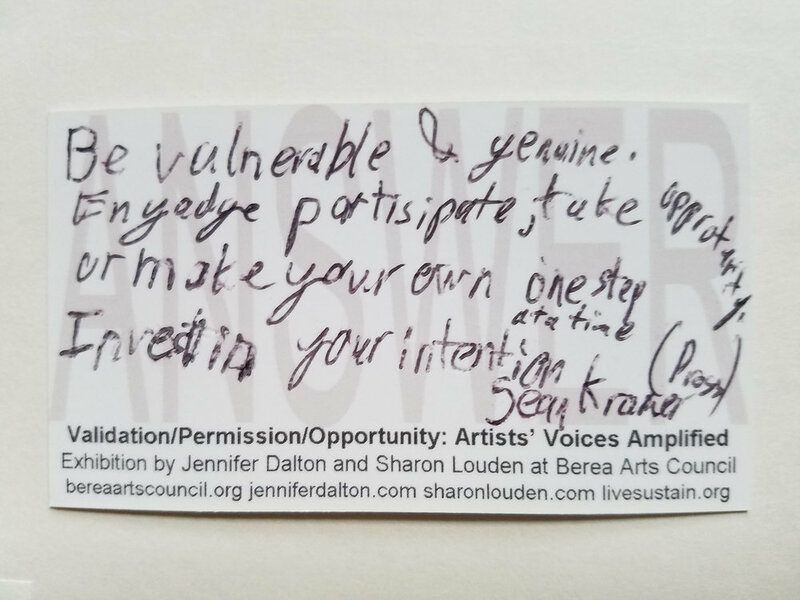 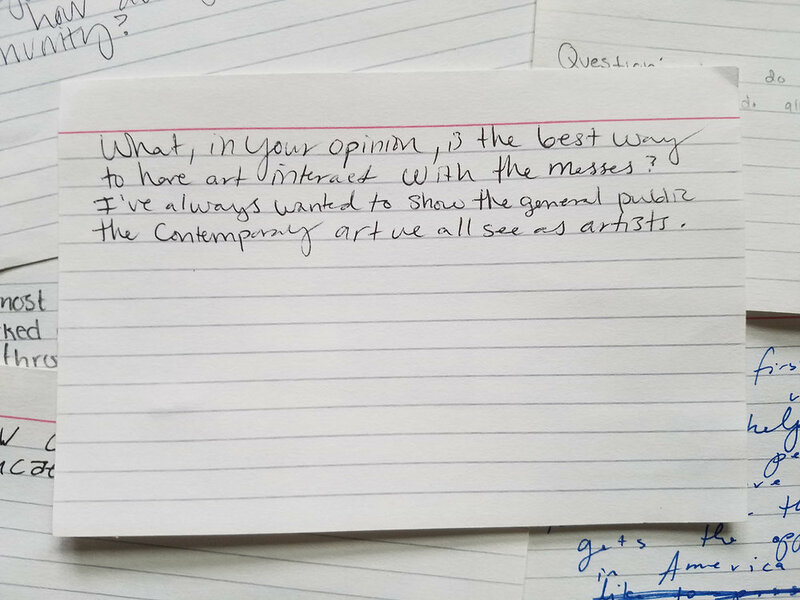 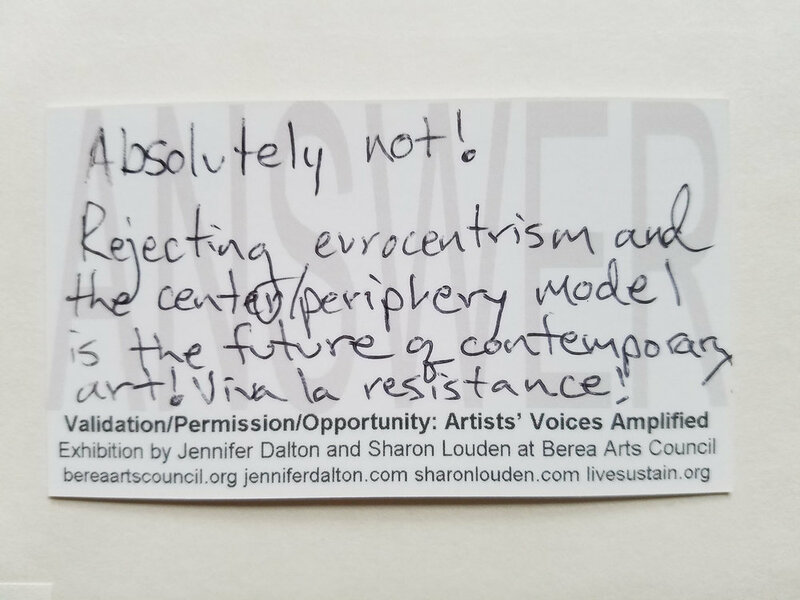 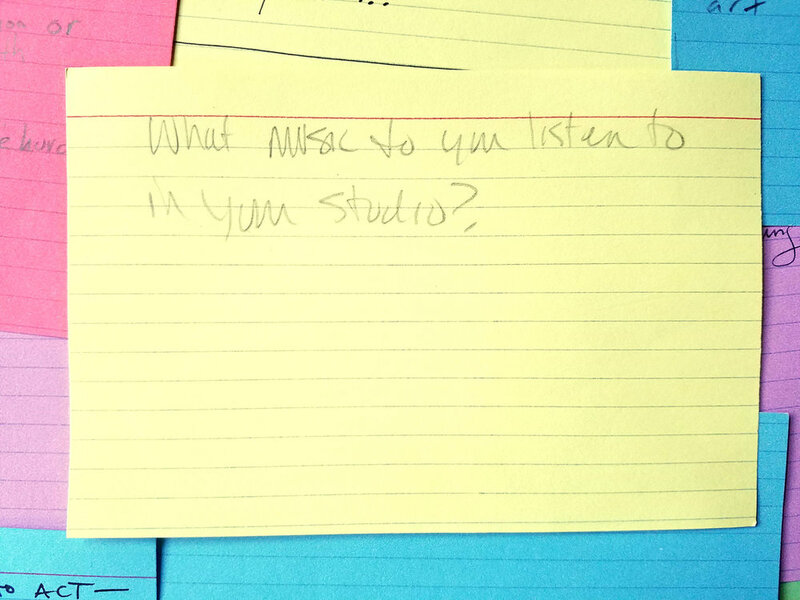 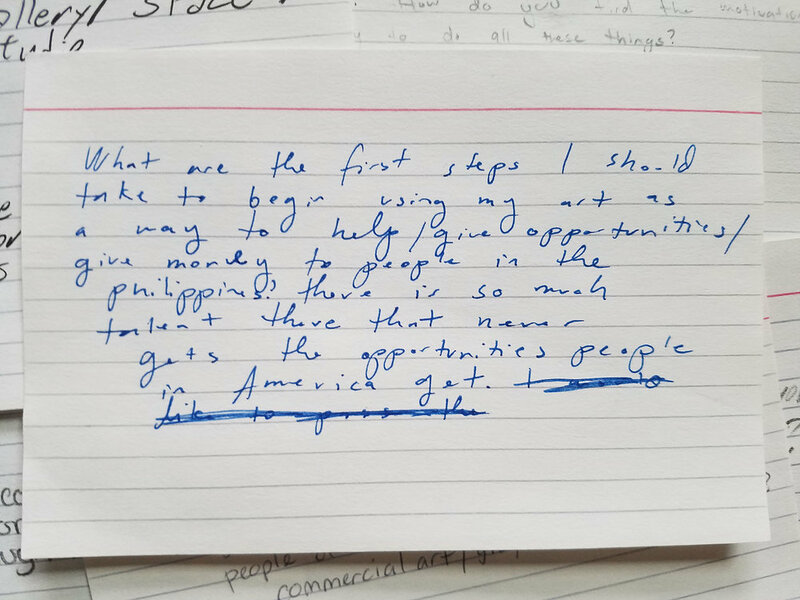 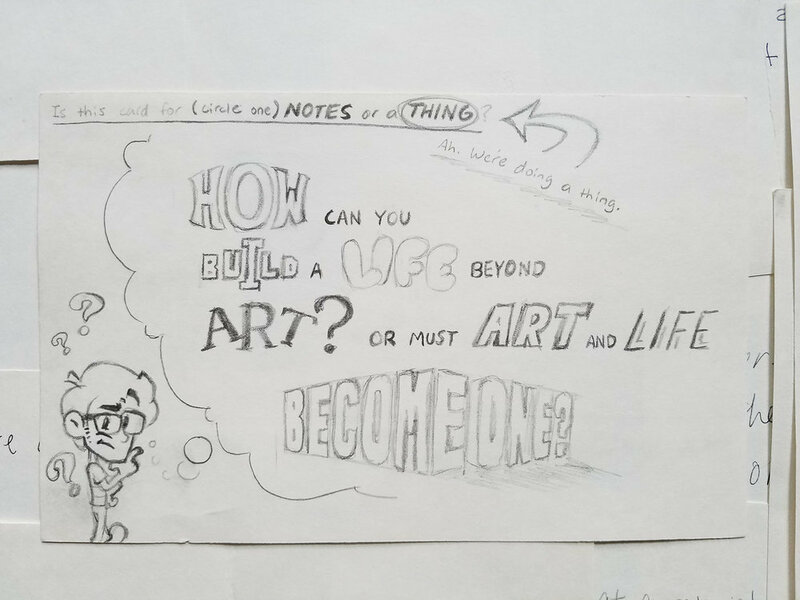 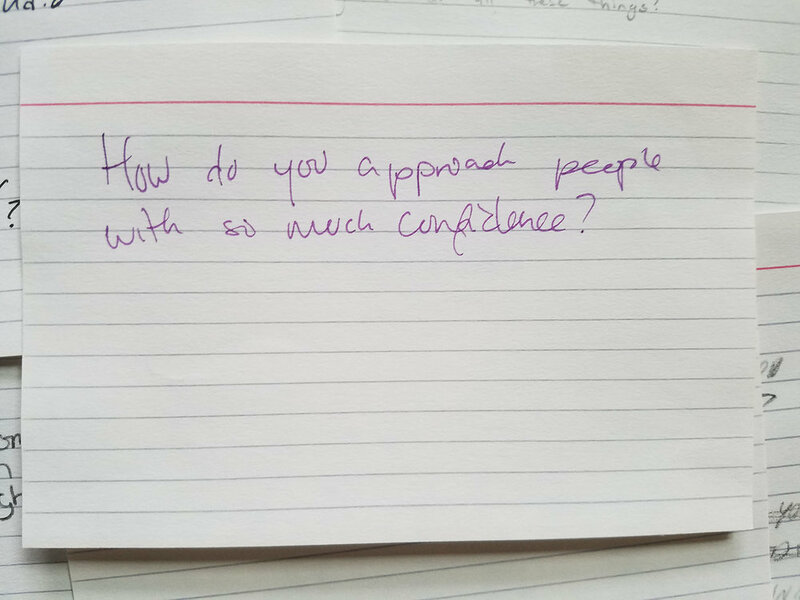 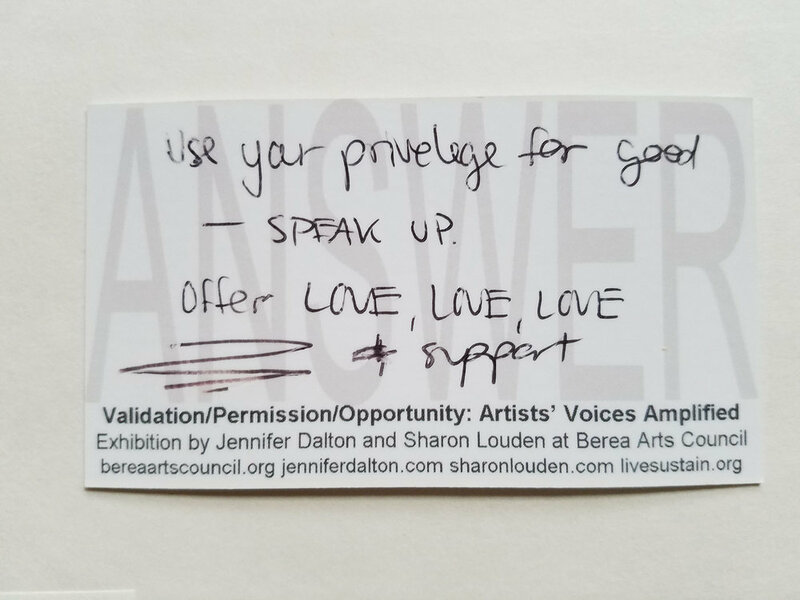 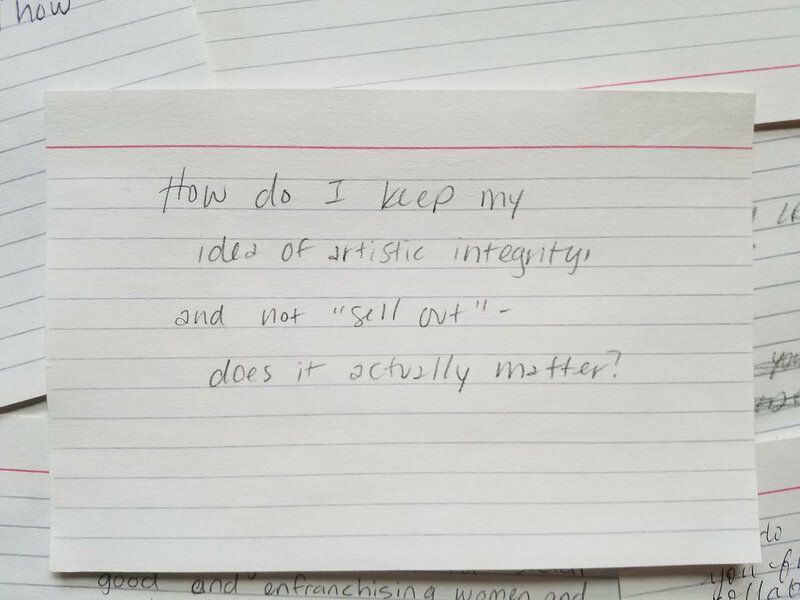 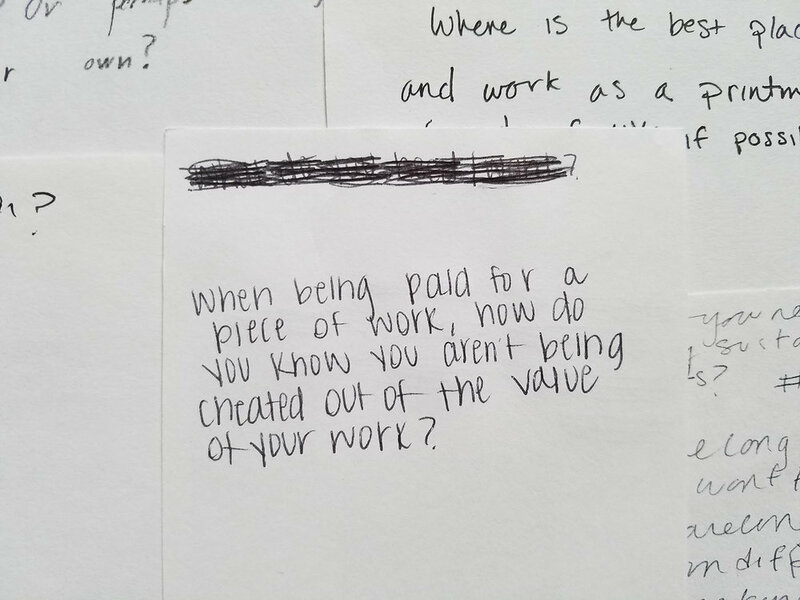 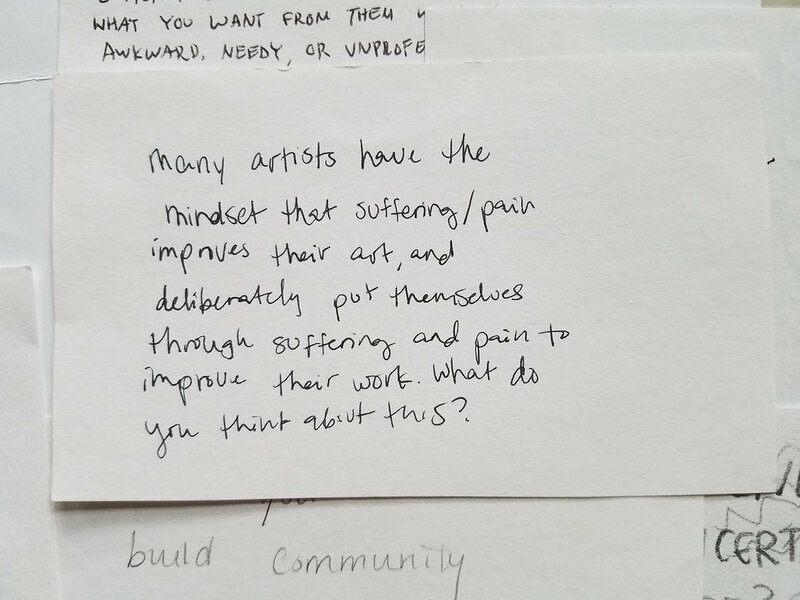 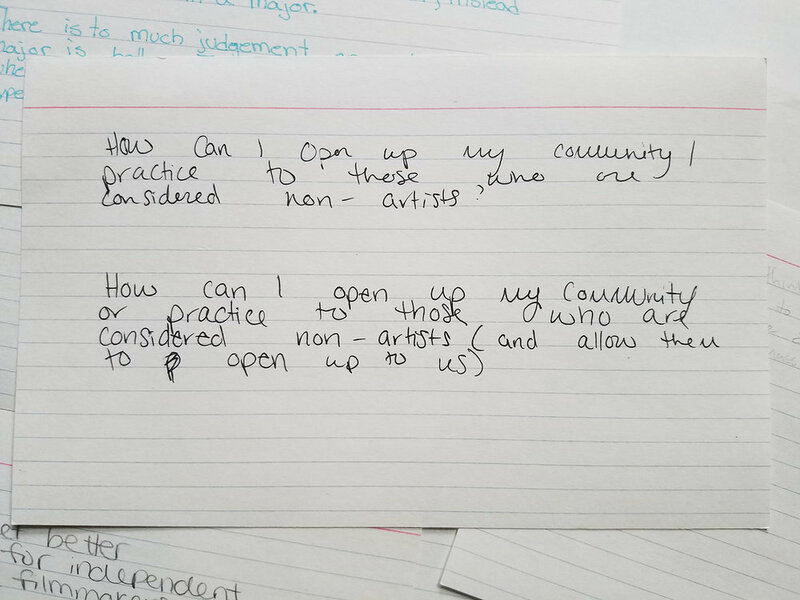 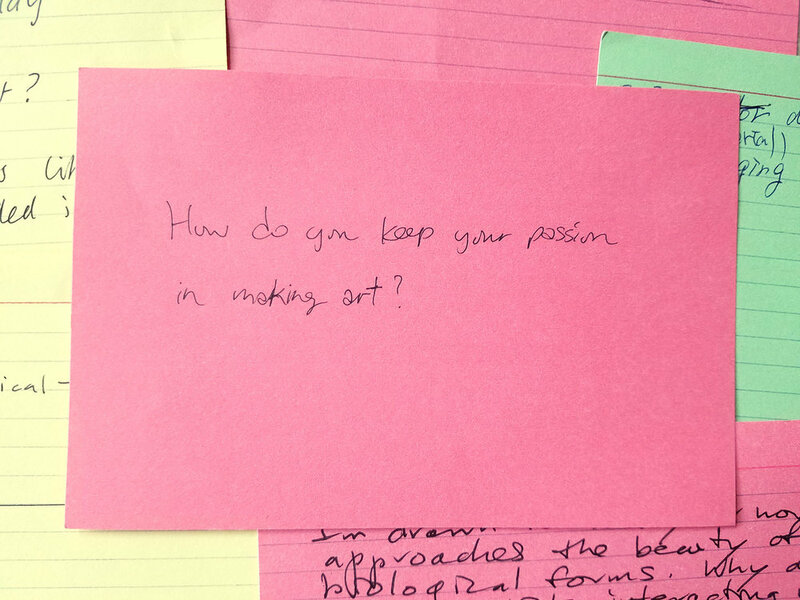 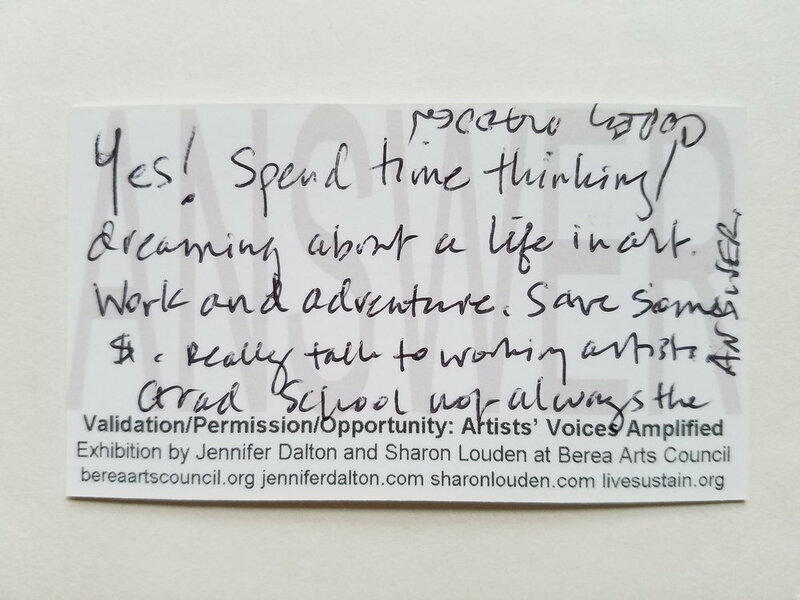 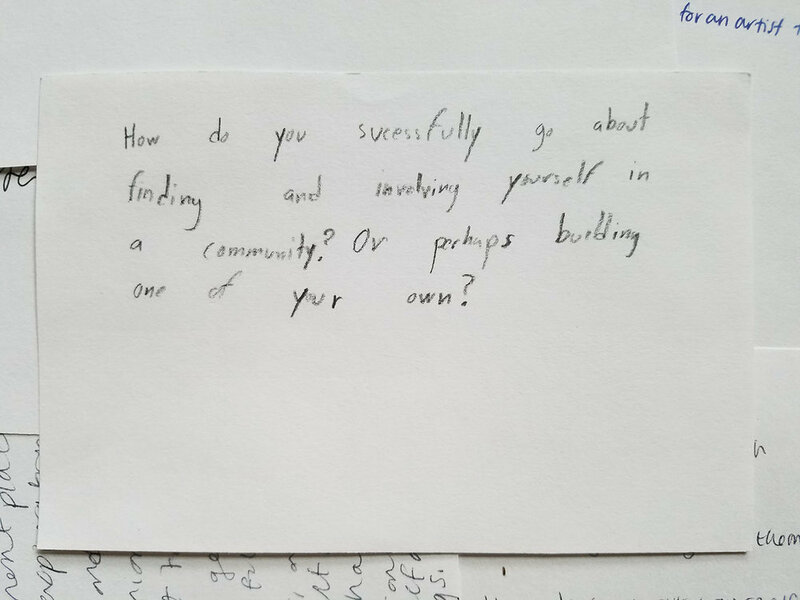 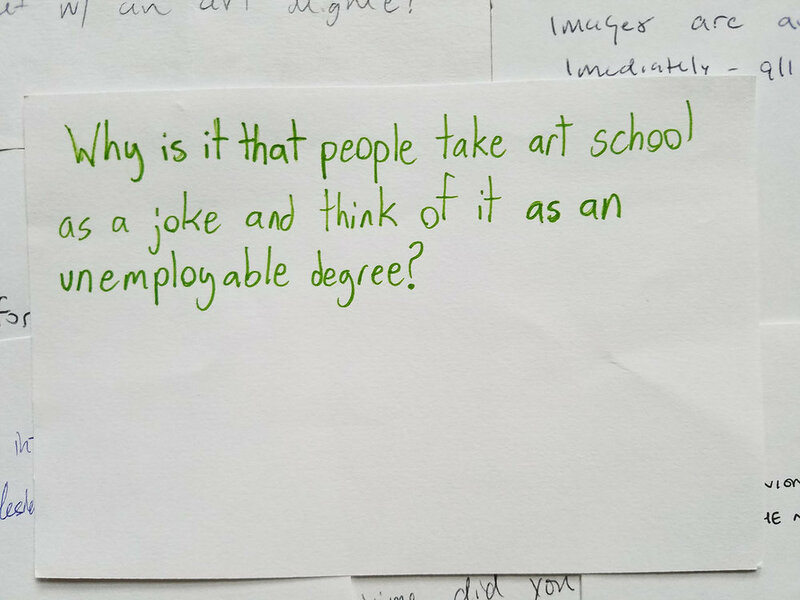 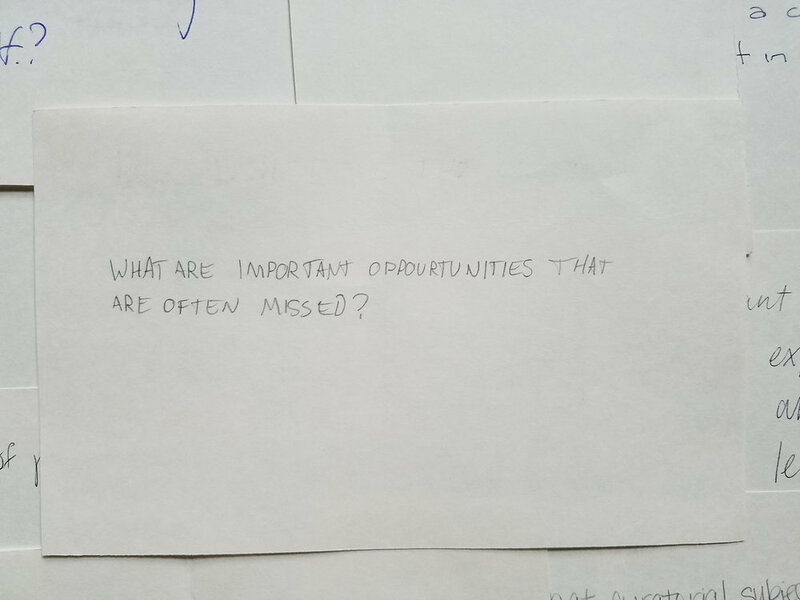 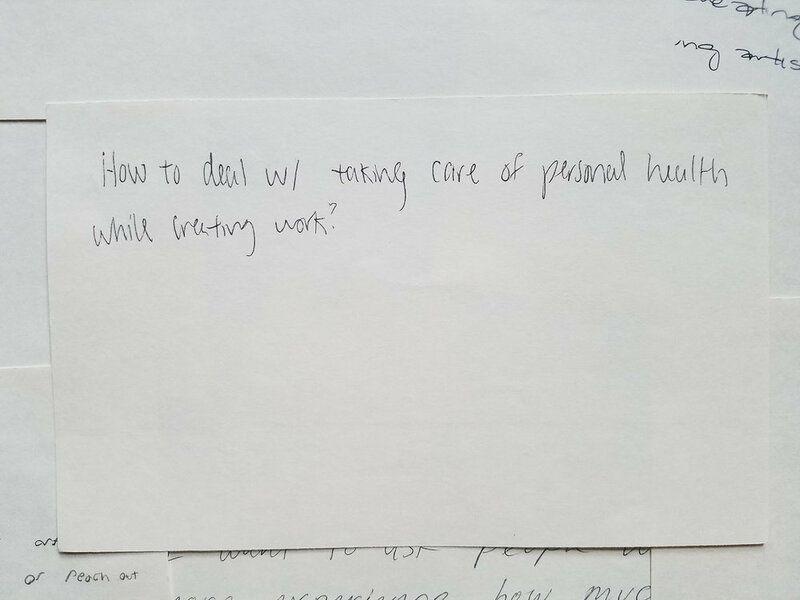 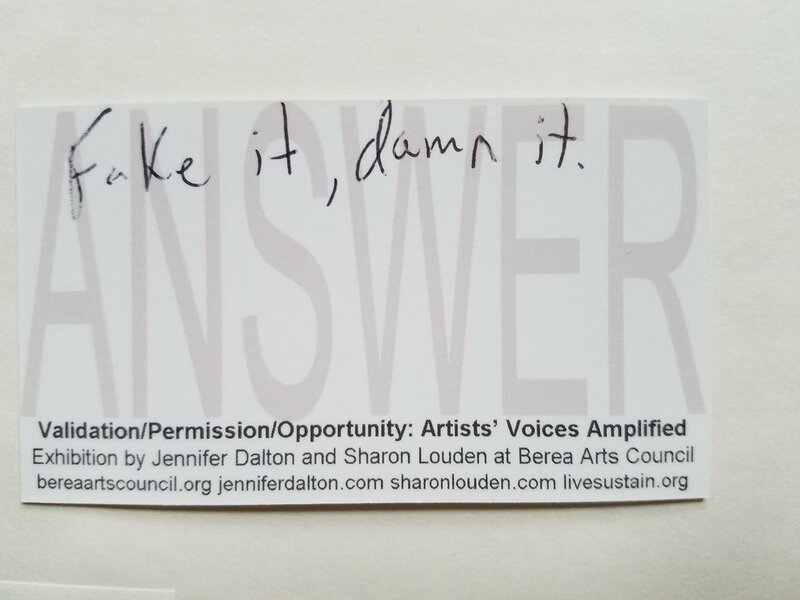 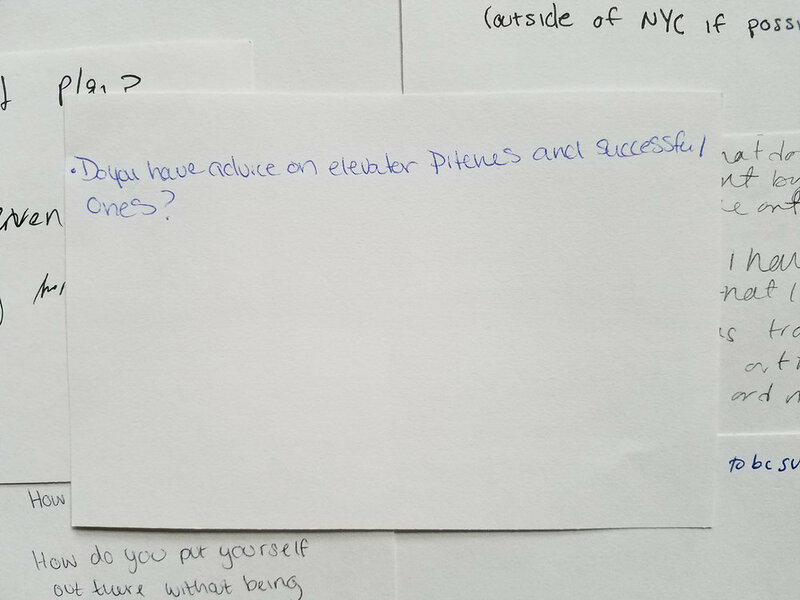 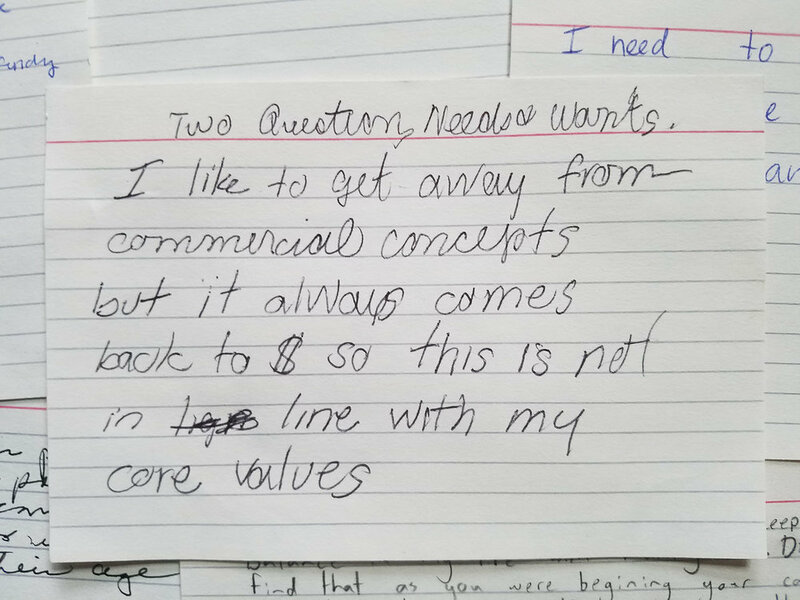 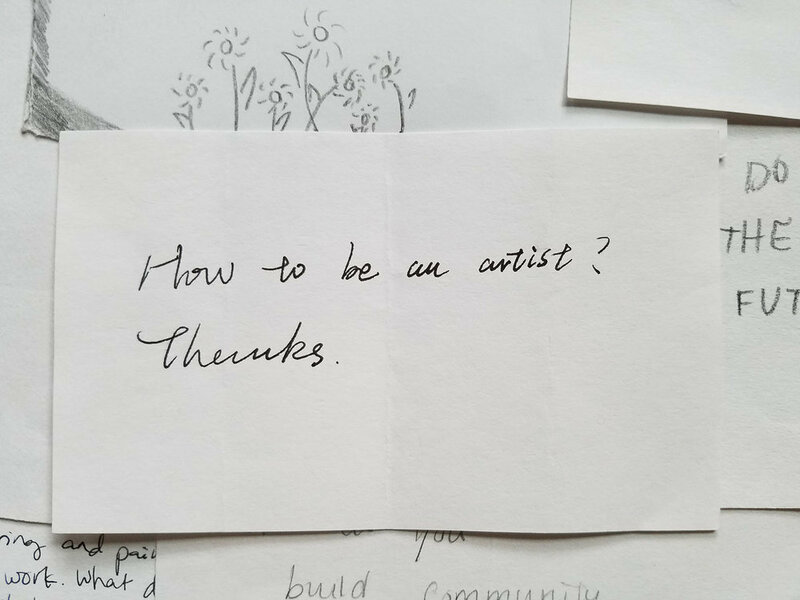 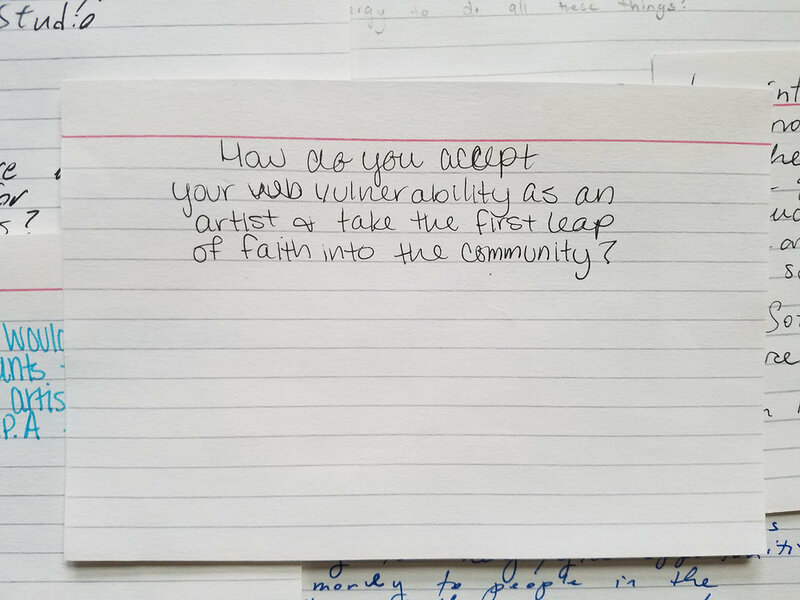 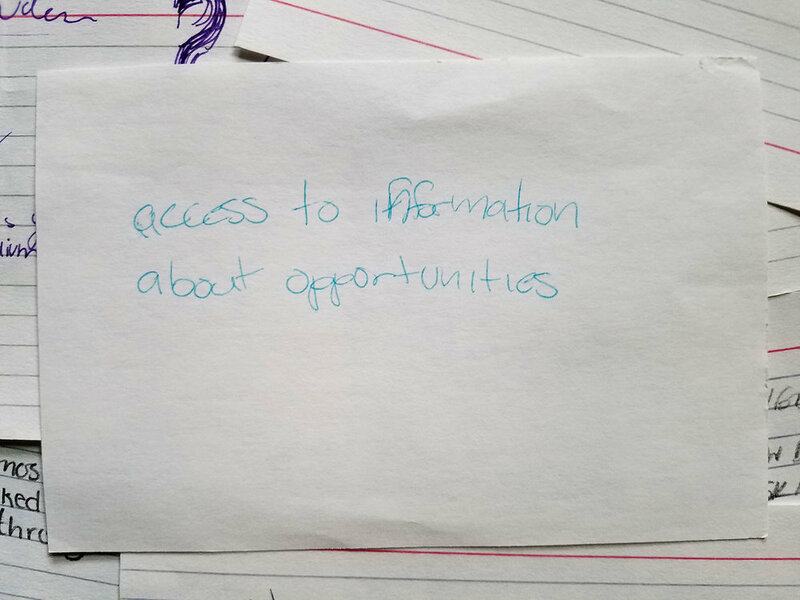 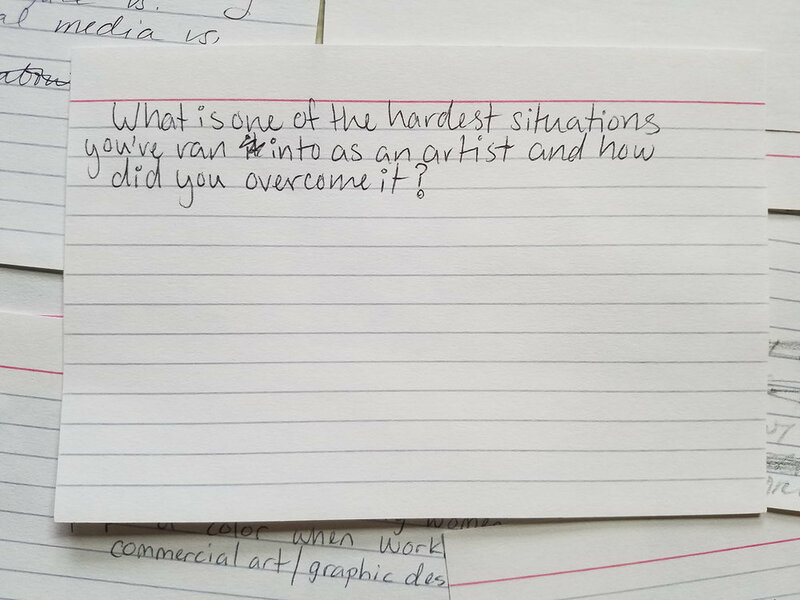 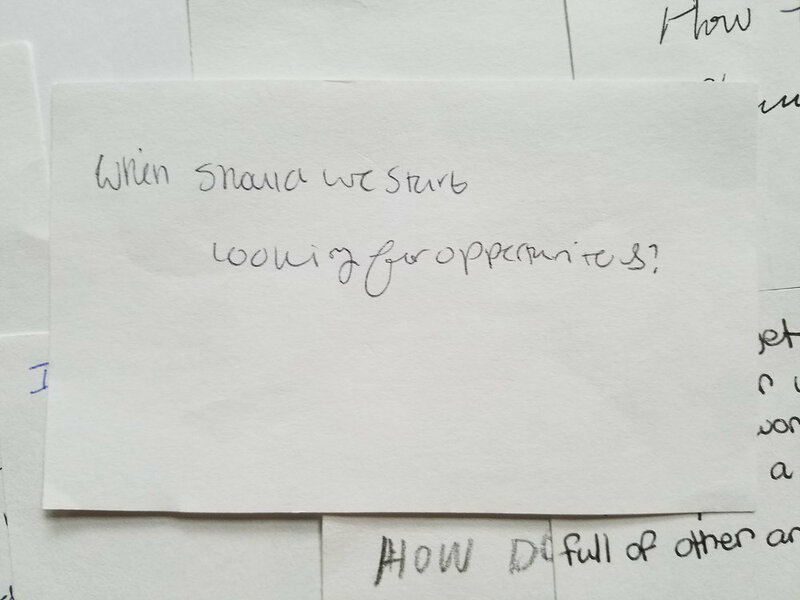 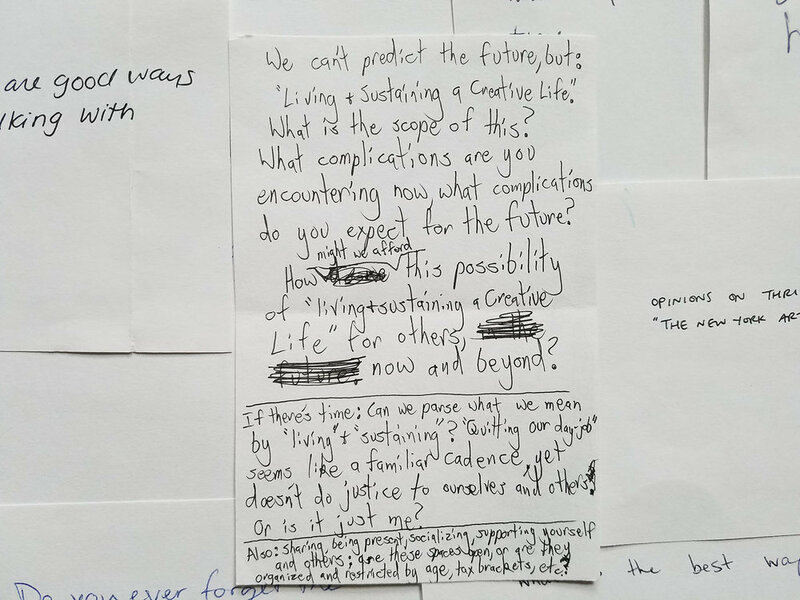 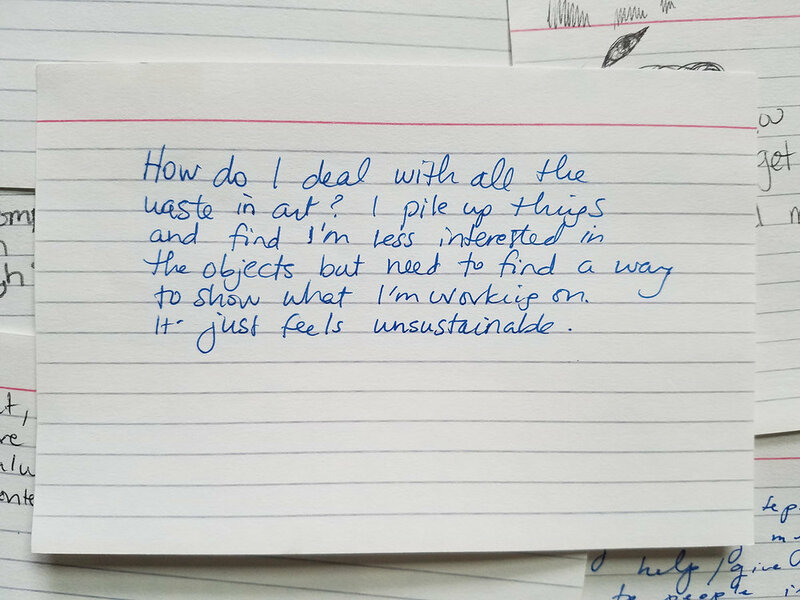 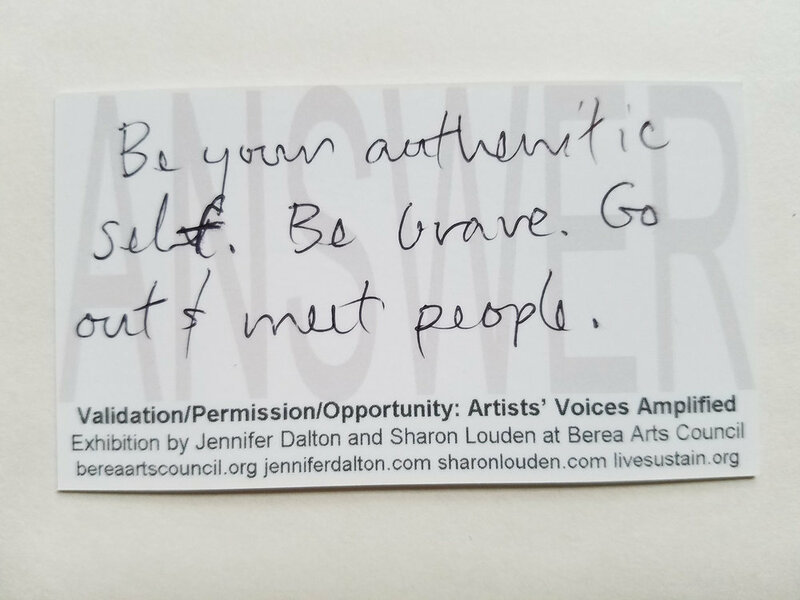 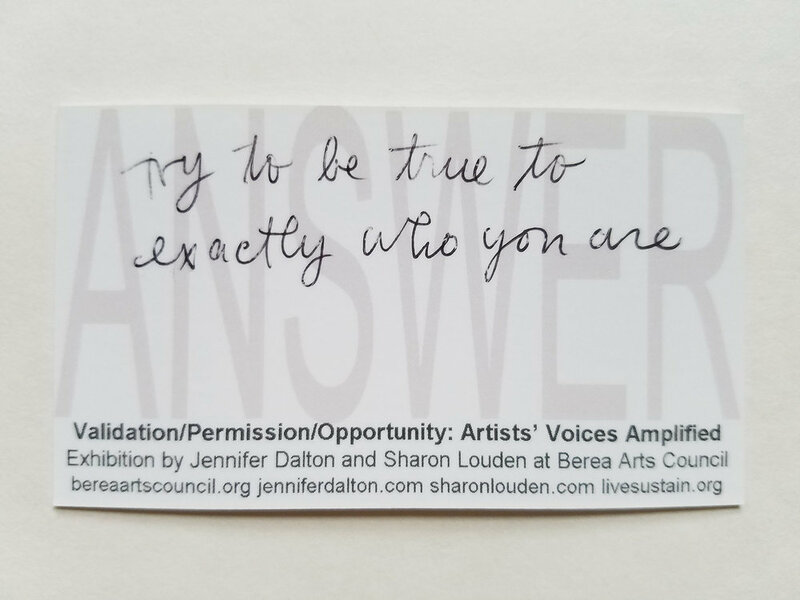 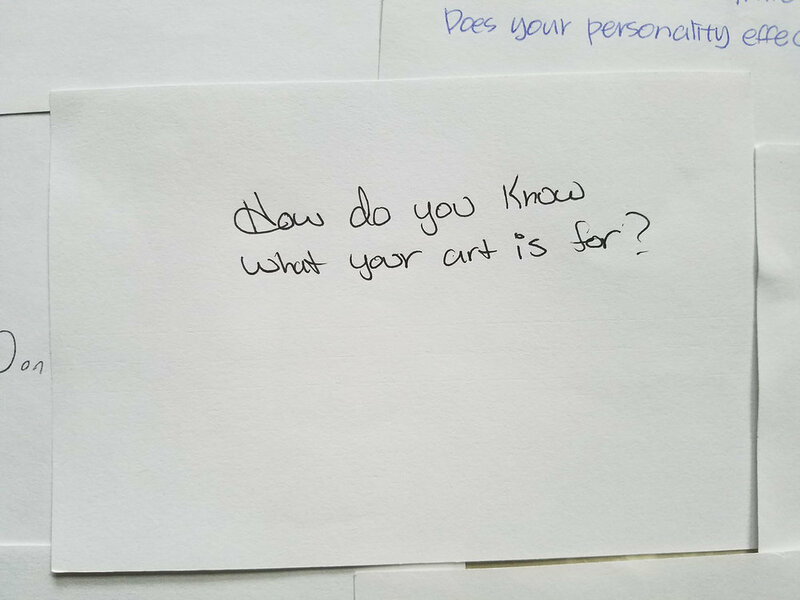 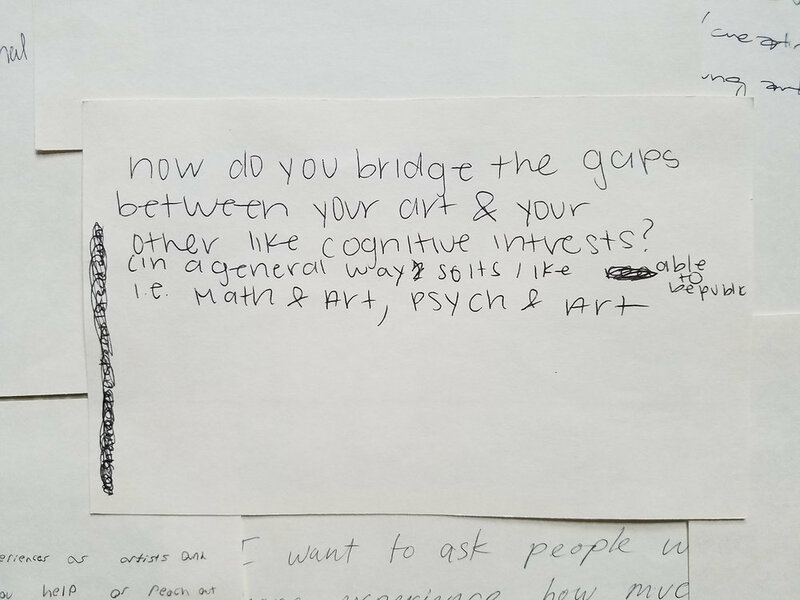 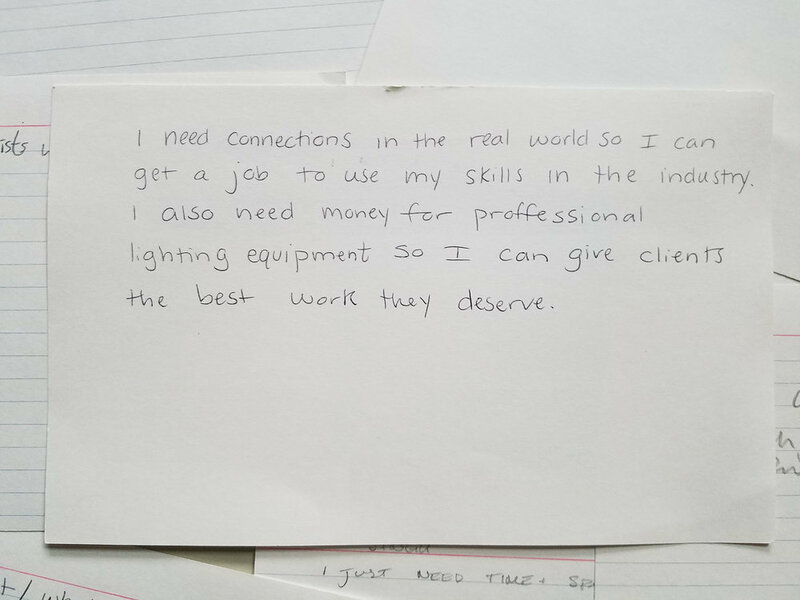 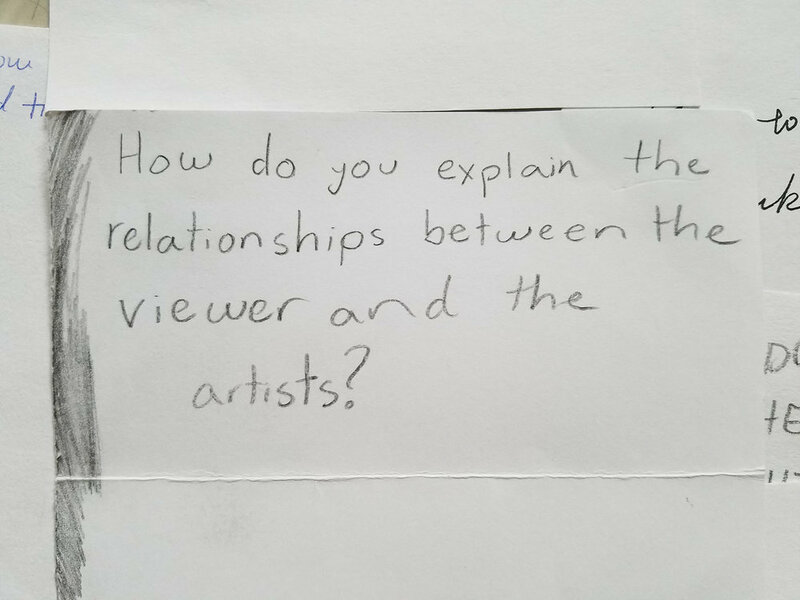 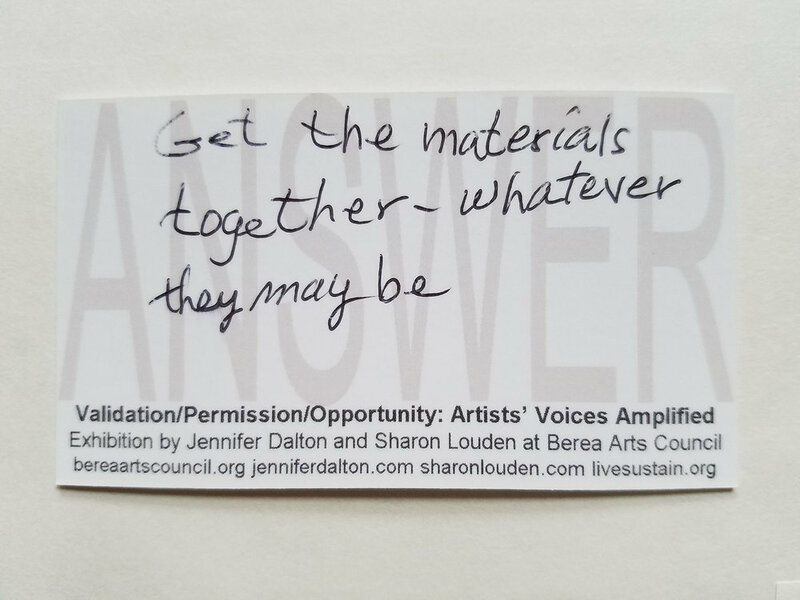 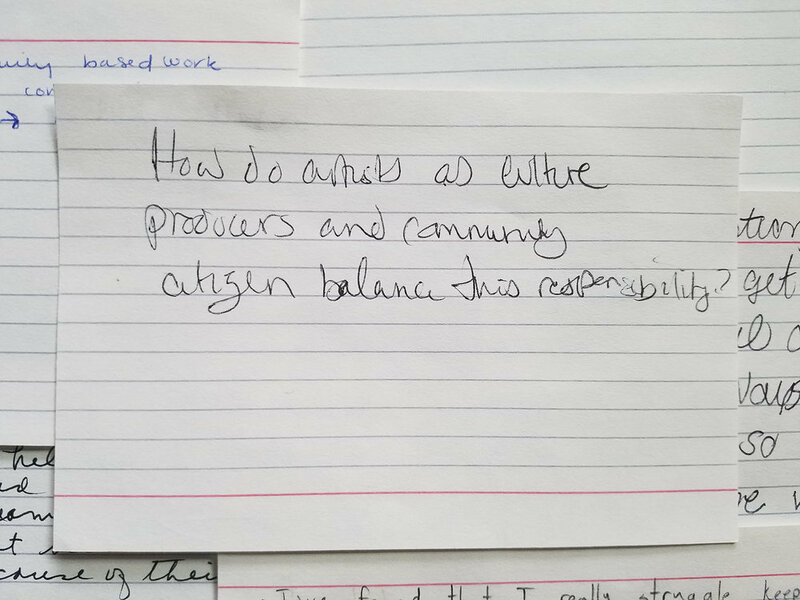 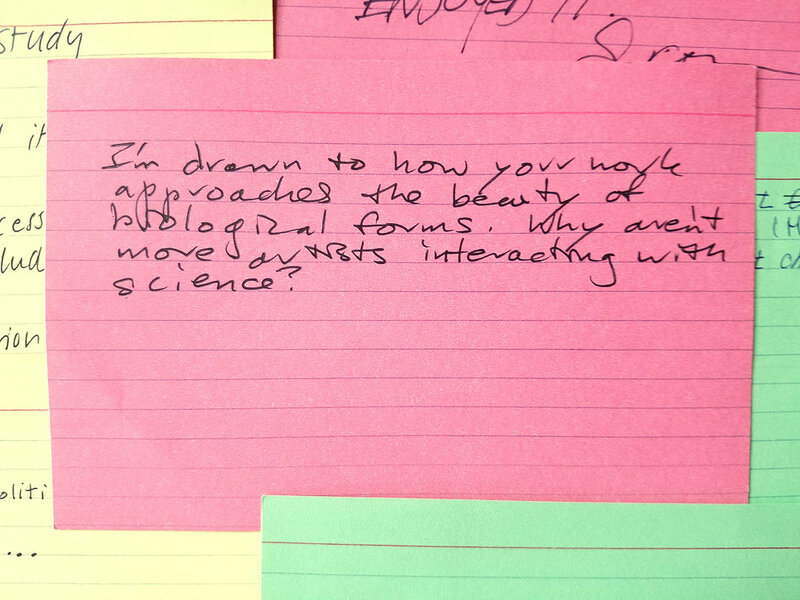 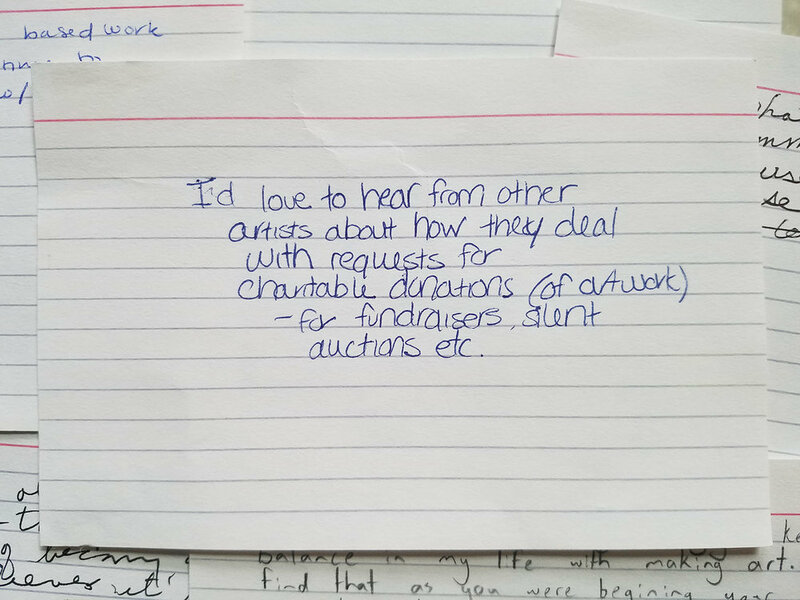 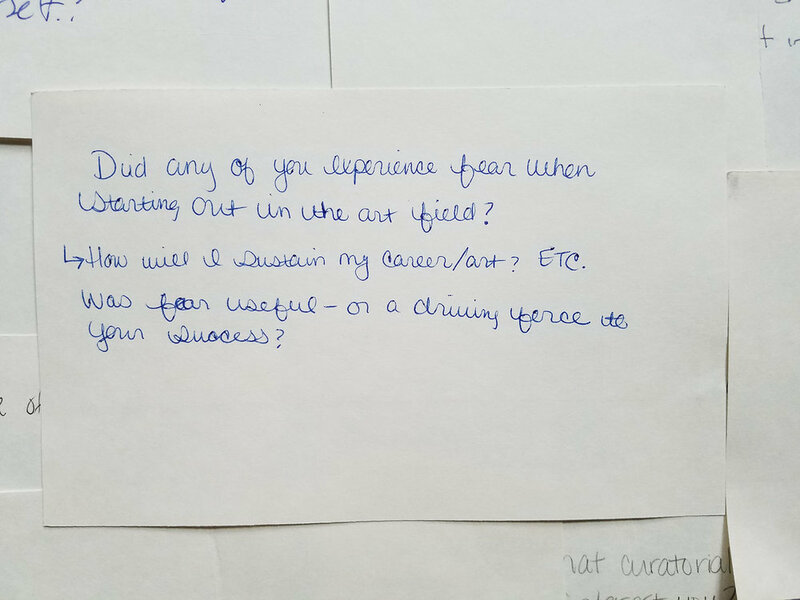 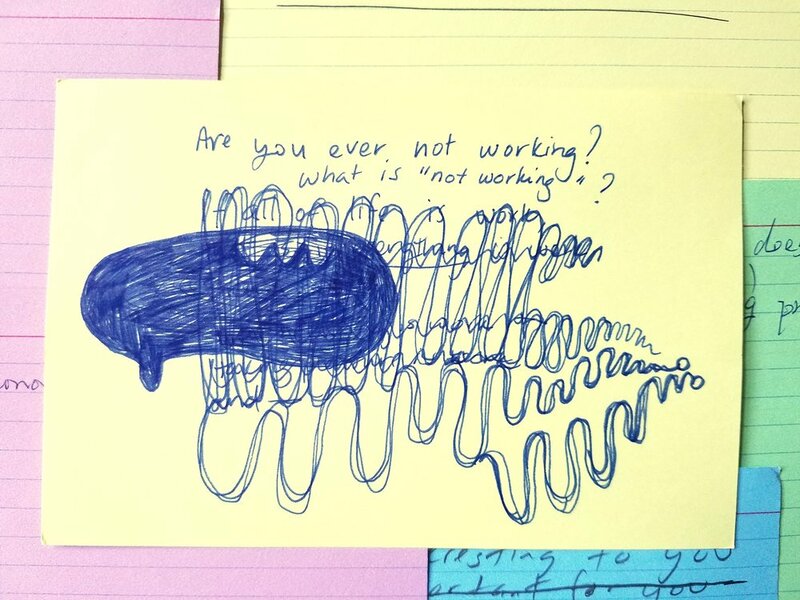 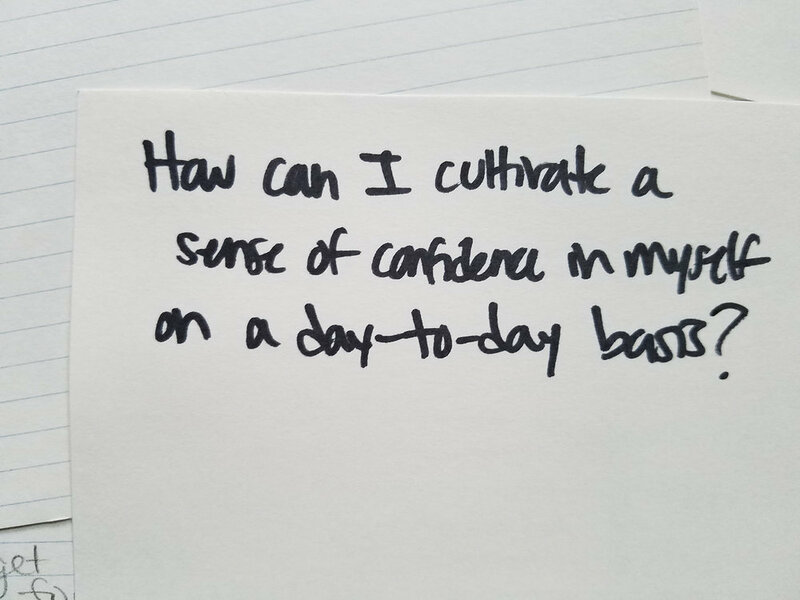 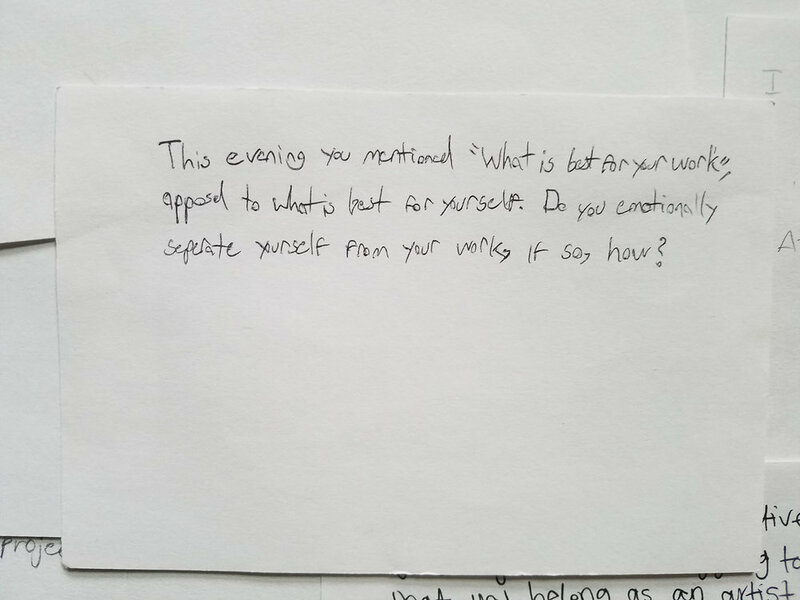 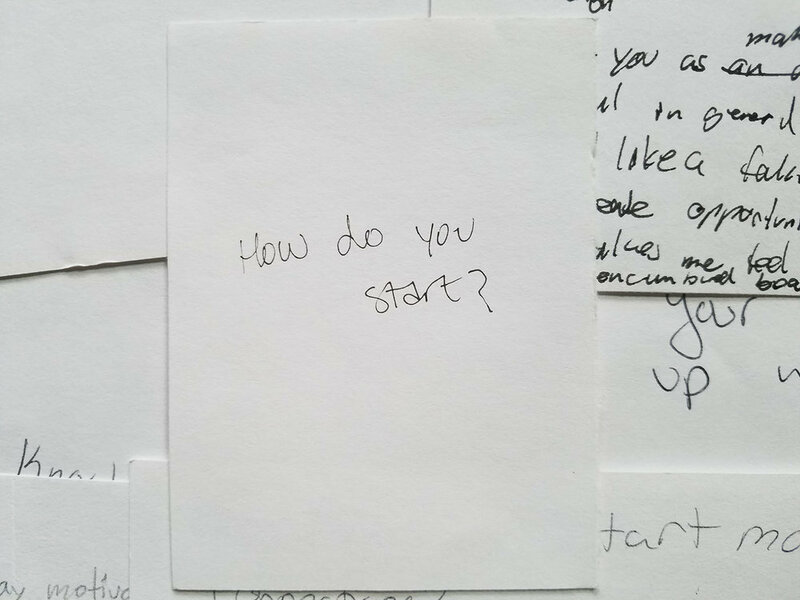 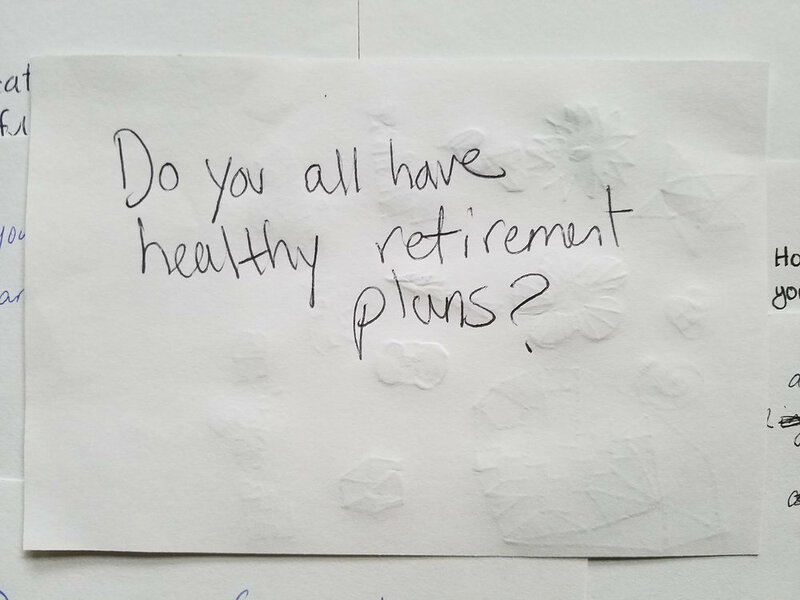 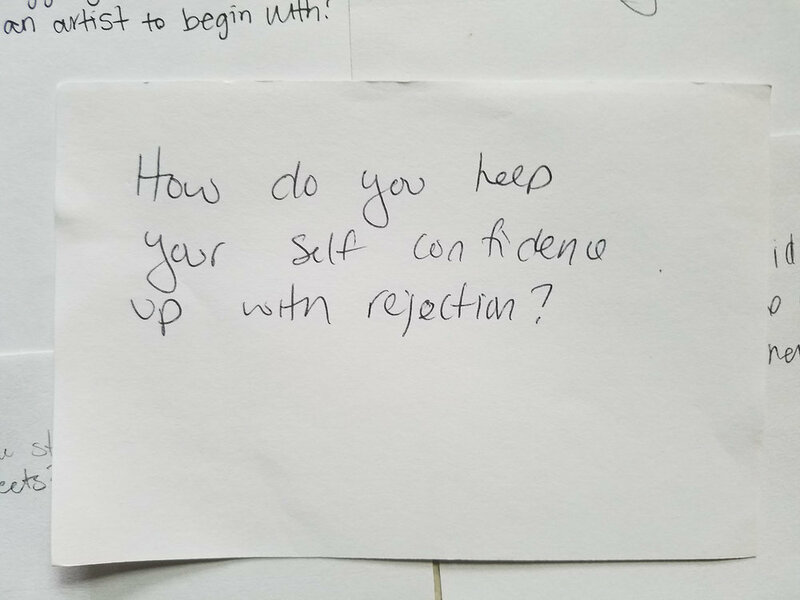 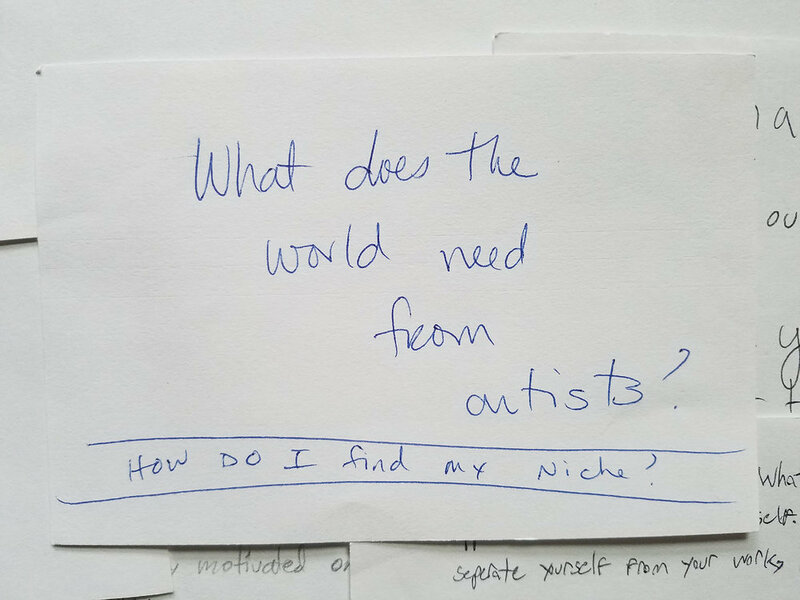 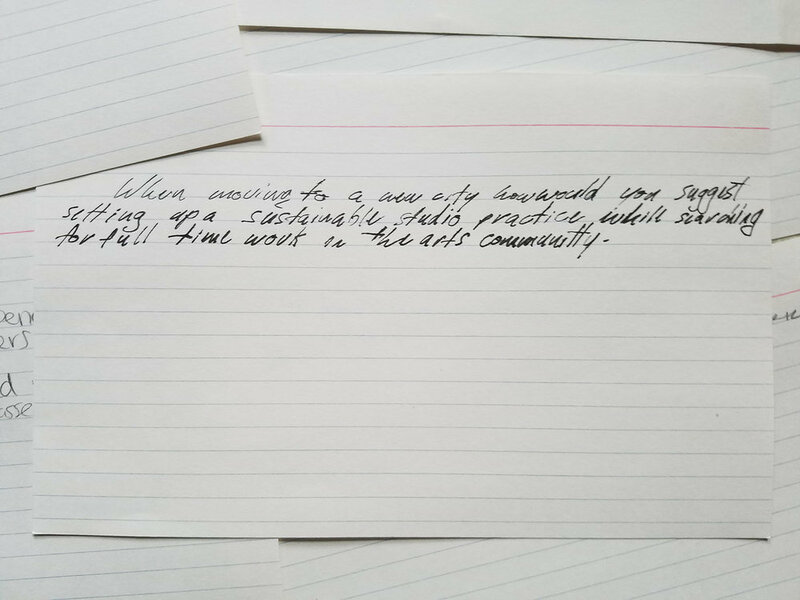 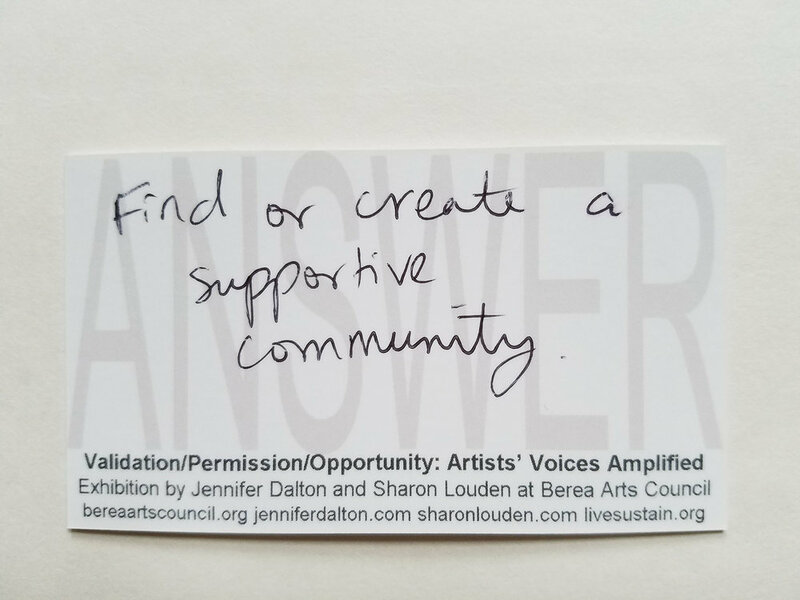 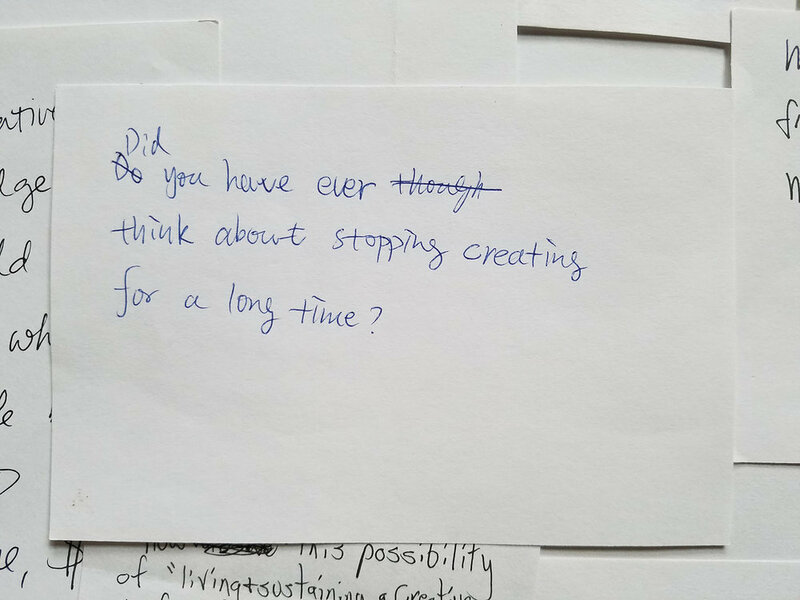 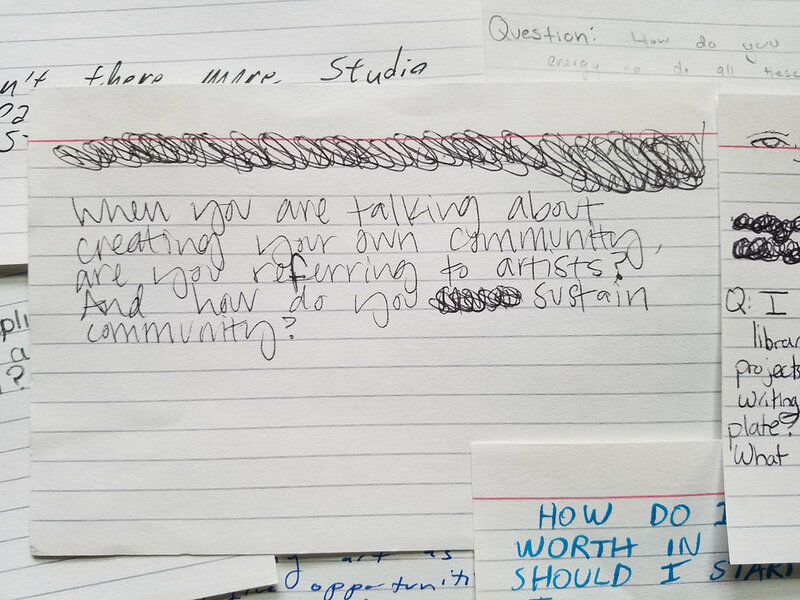 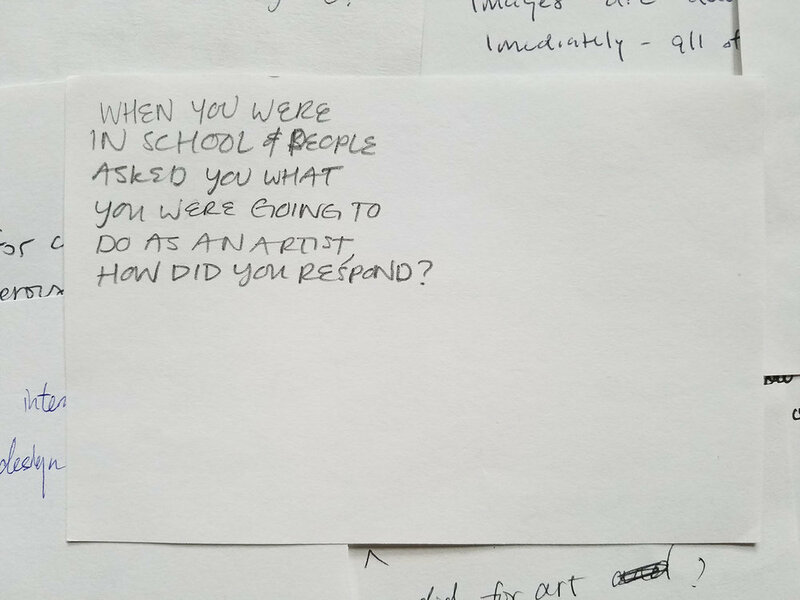 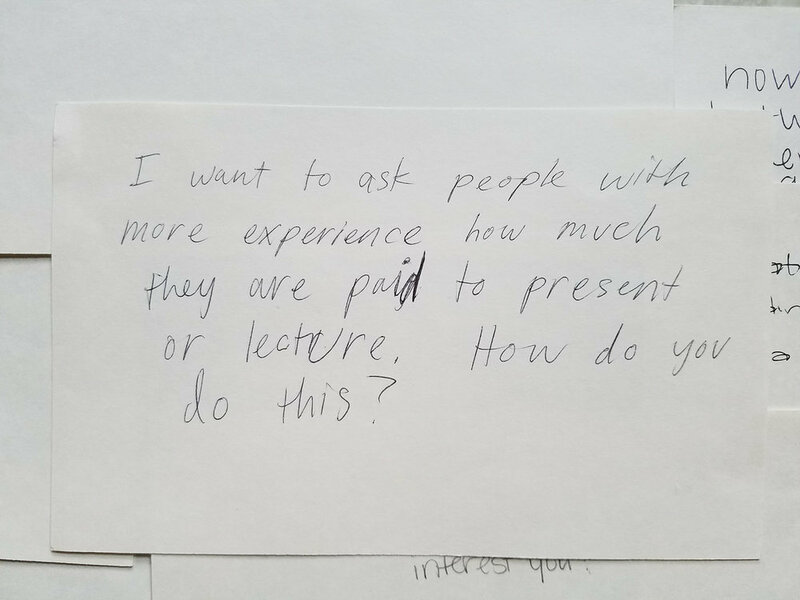 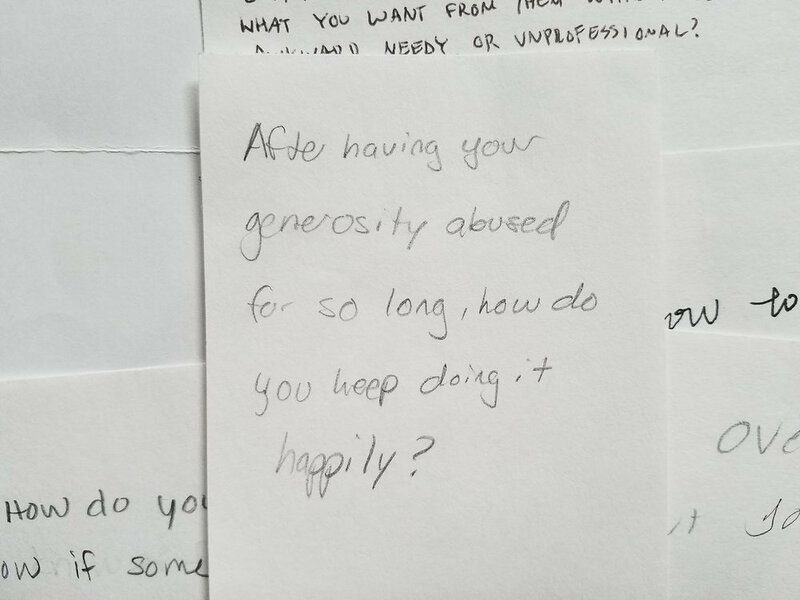 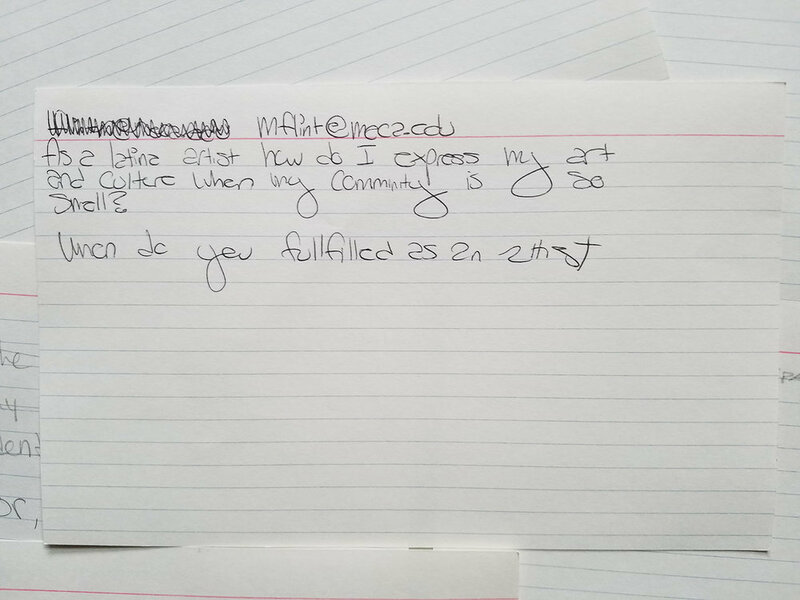 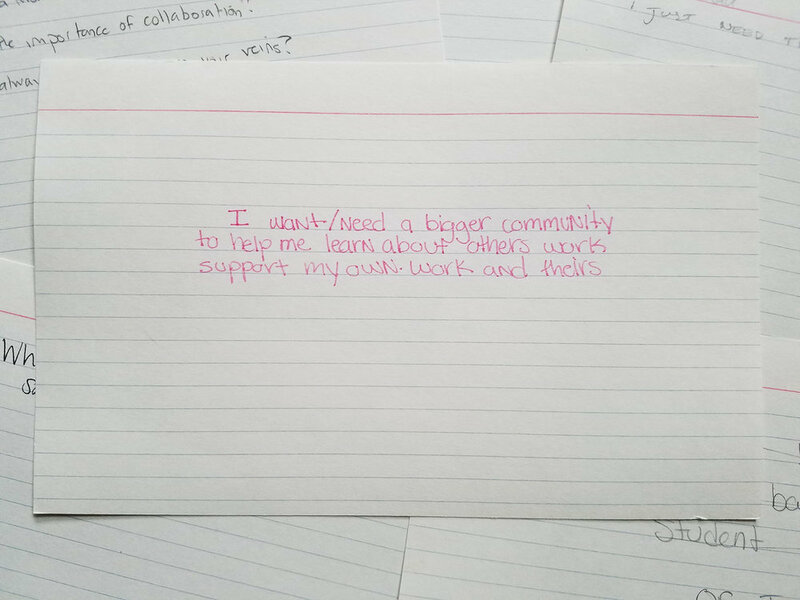 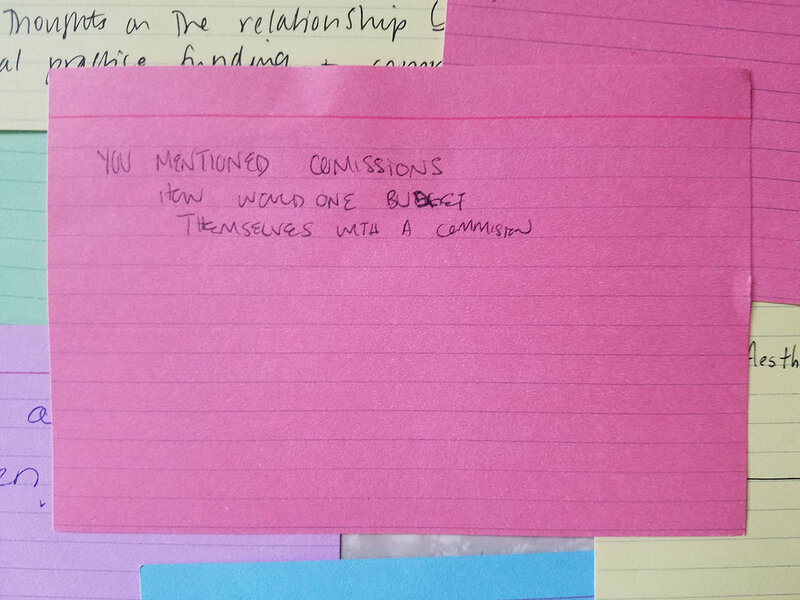 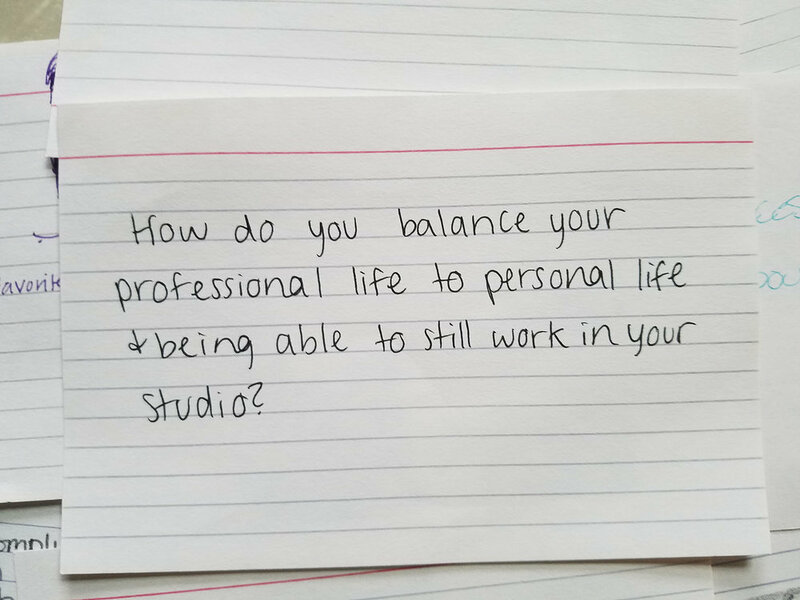 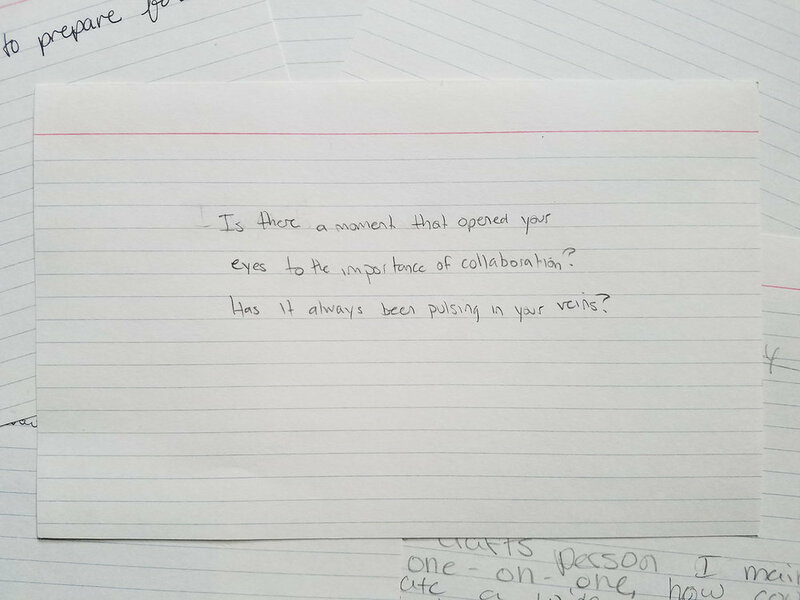 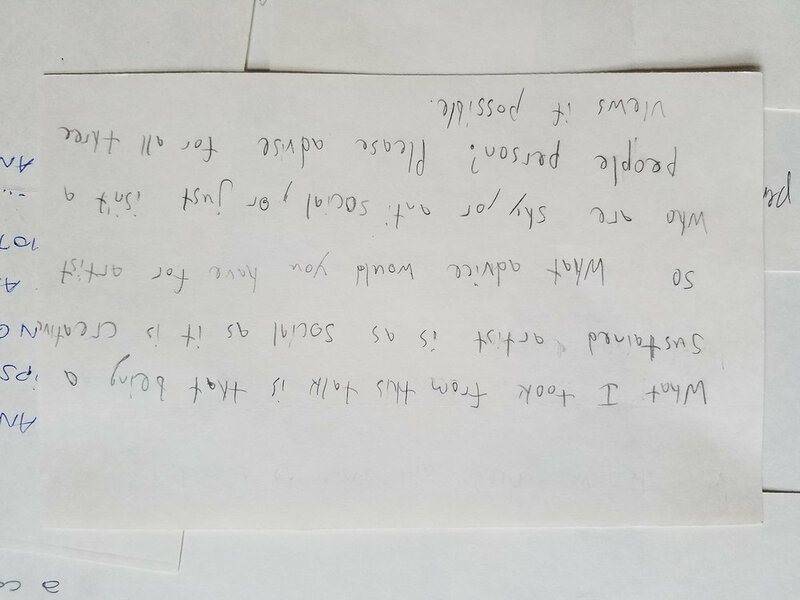 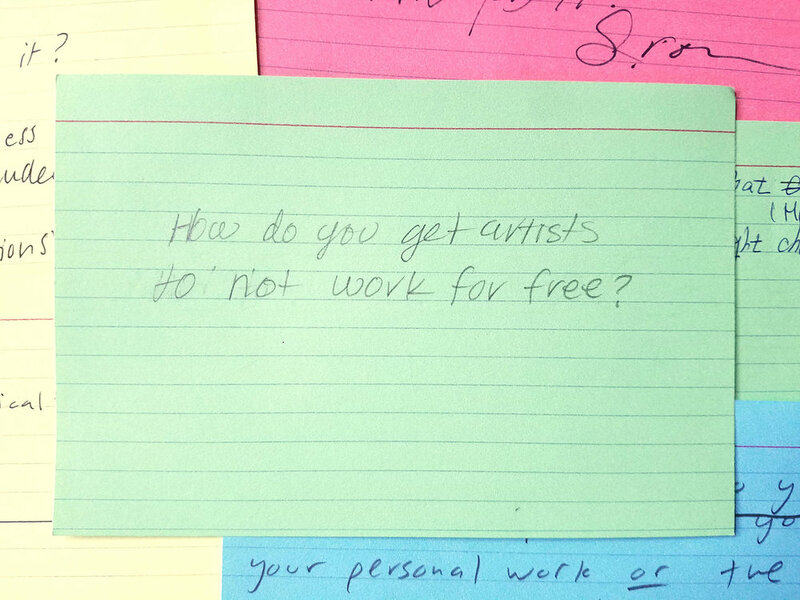 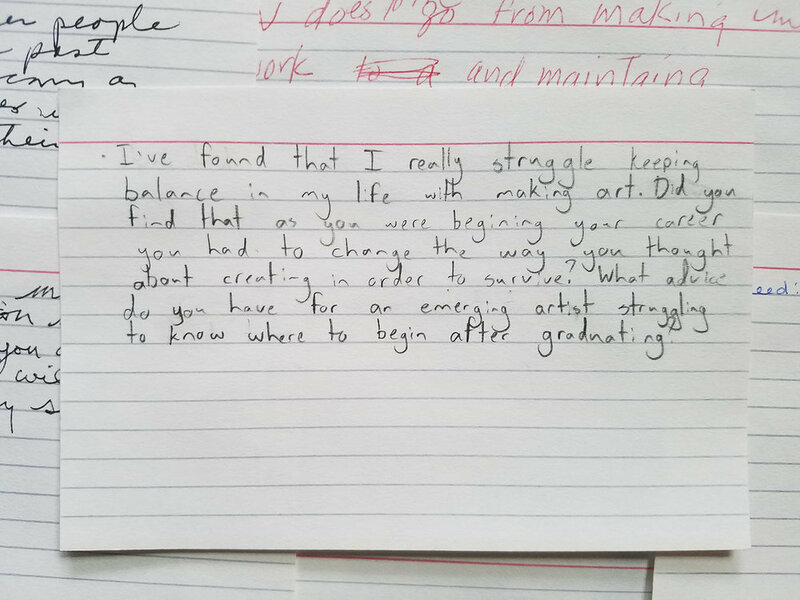 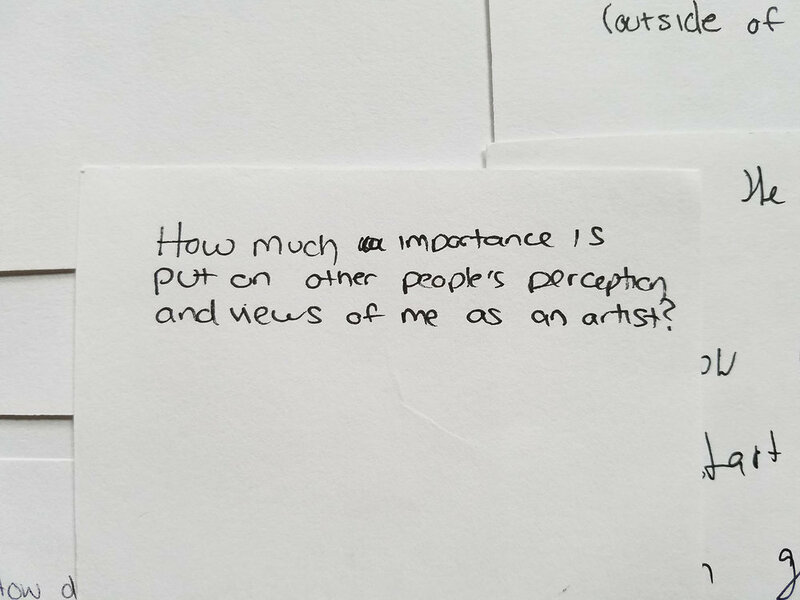 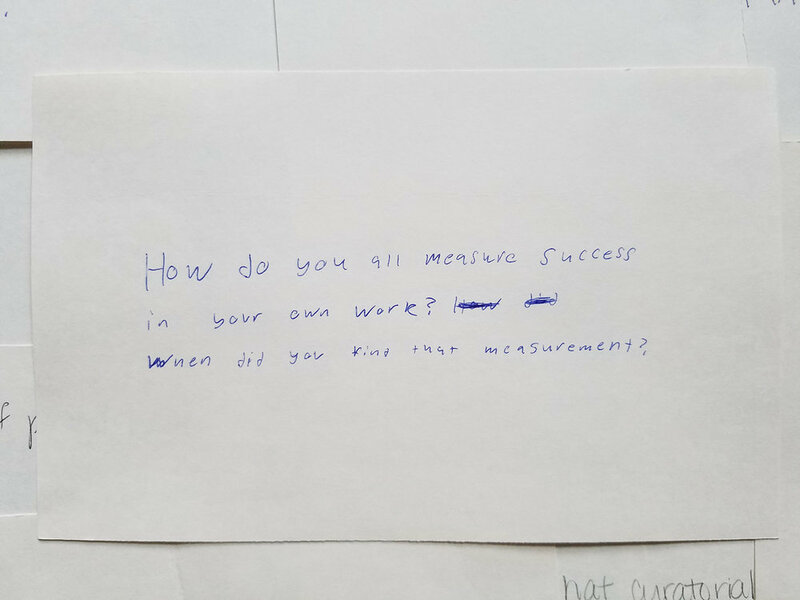 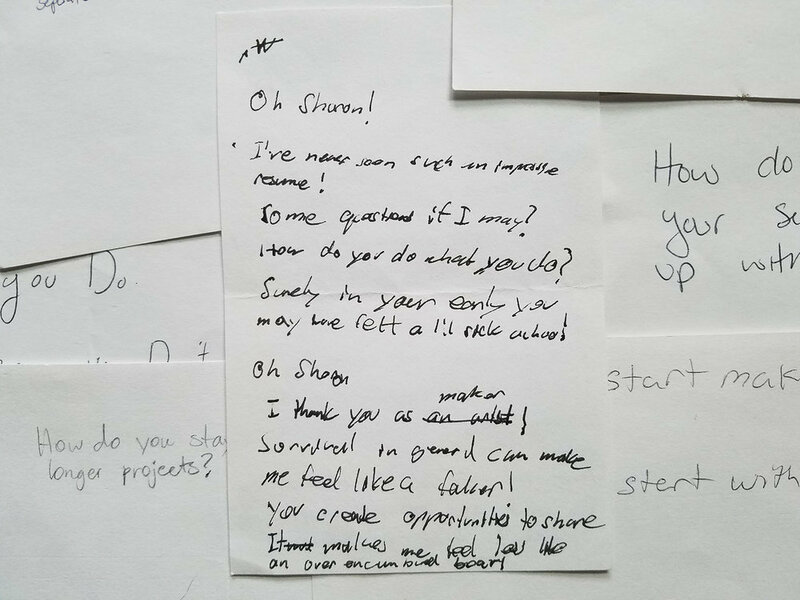 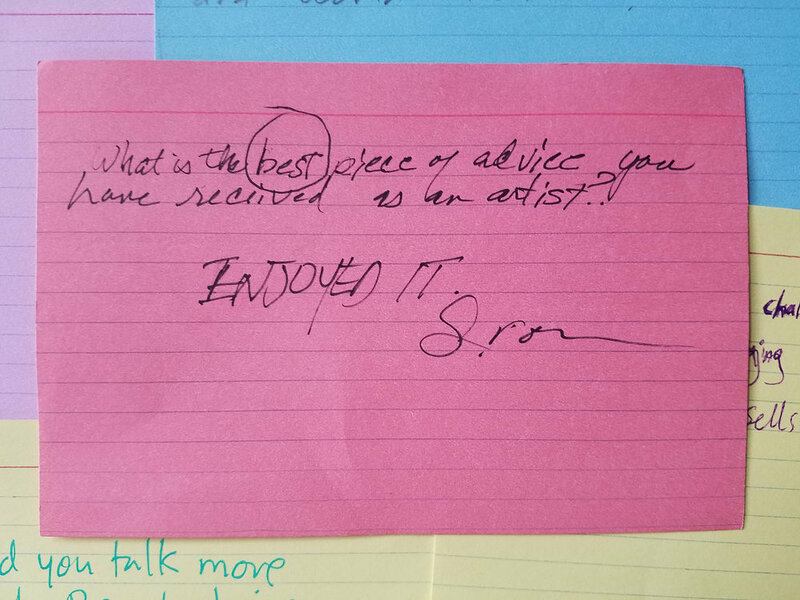 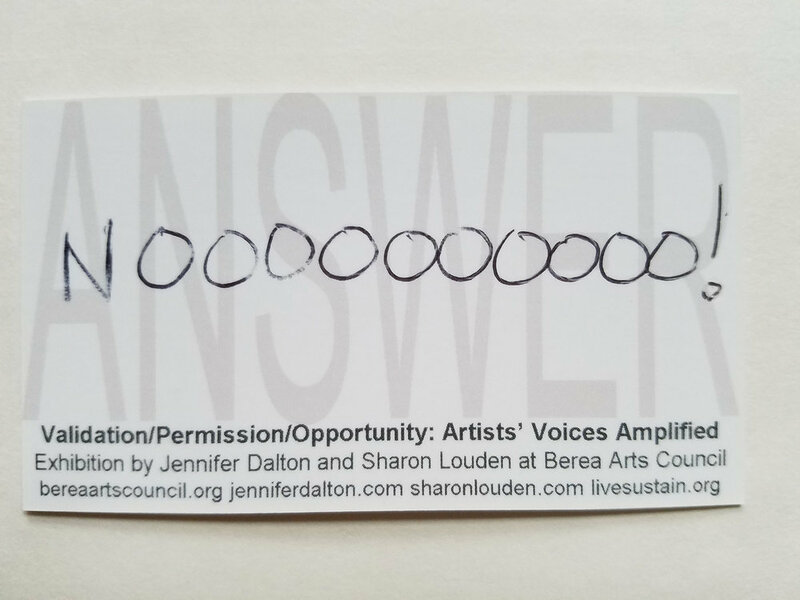 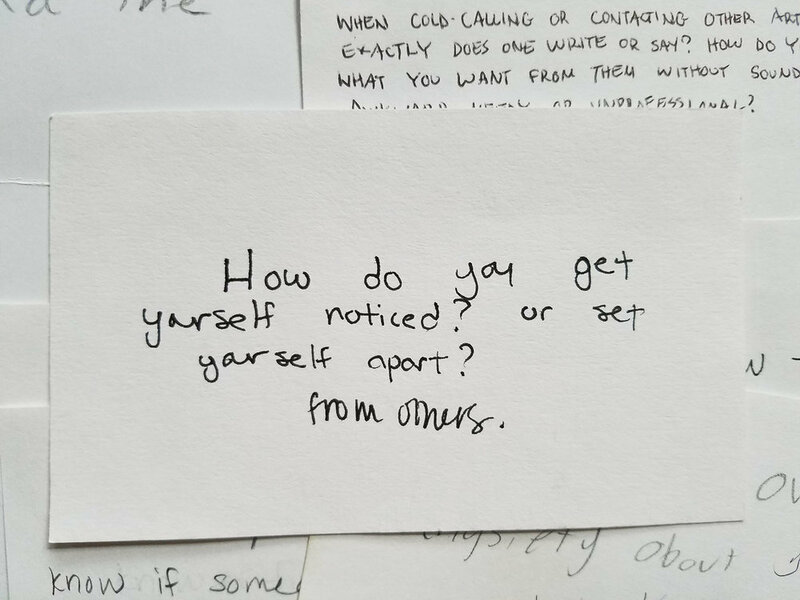 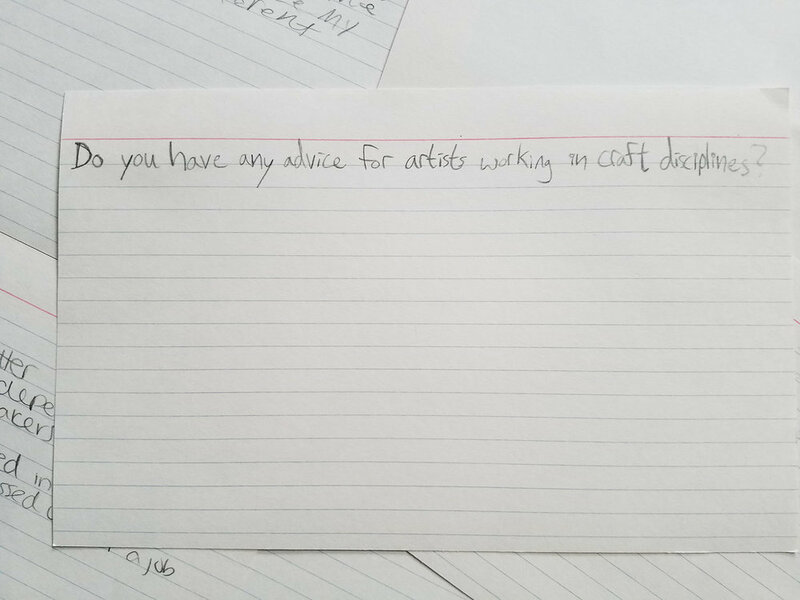 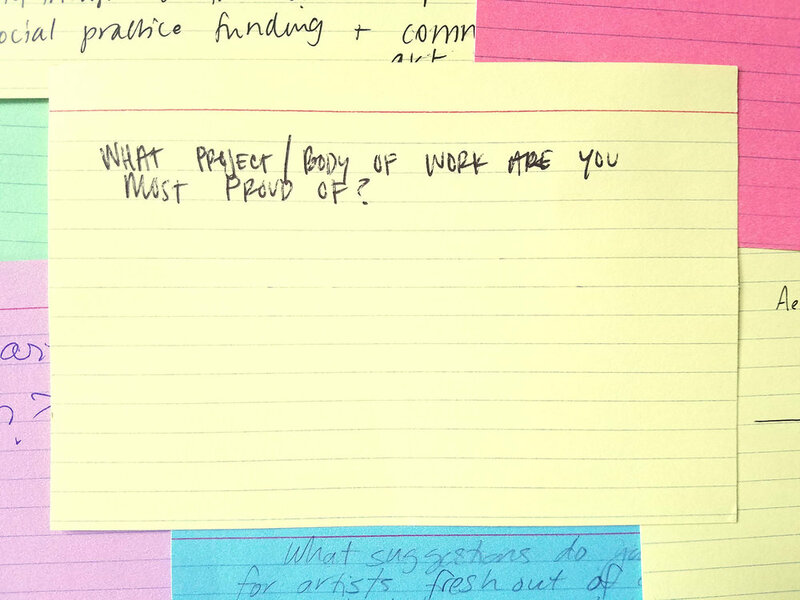 Some of these questions were provided to visitors of the Validation/Permission/Opportunity exhibition by Jennifer Dalton and Sharon Louden in Berea, Kentucky, in August 2018. 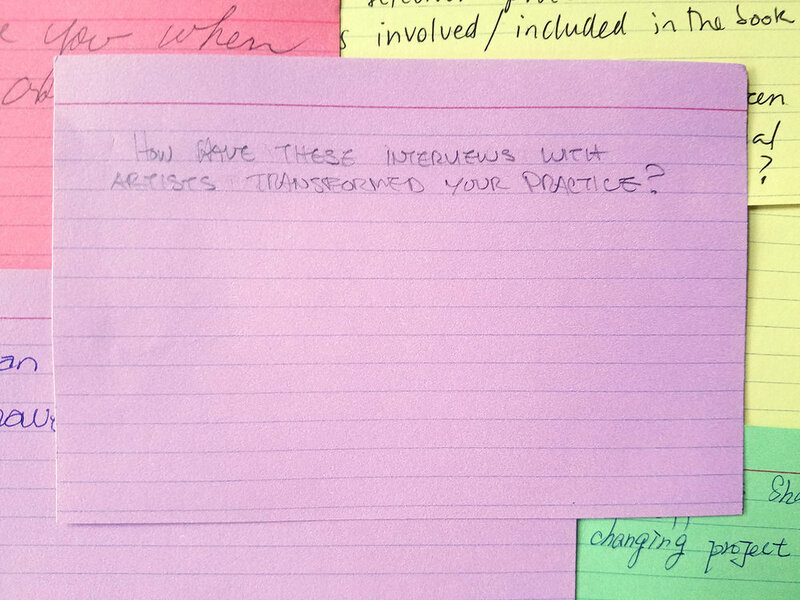 Answers to these questions can be viewed at the bottom of the page. 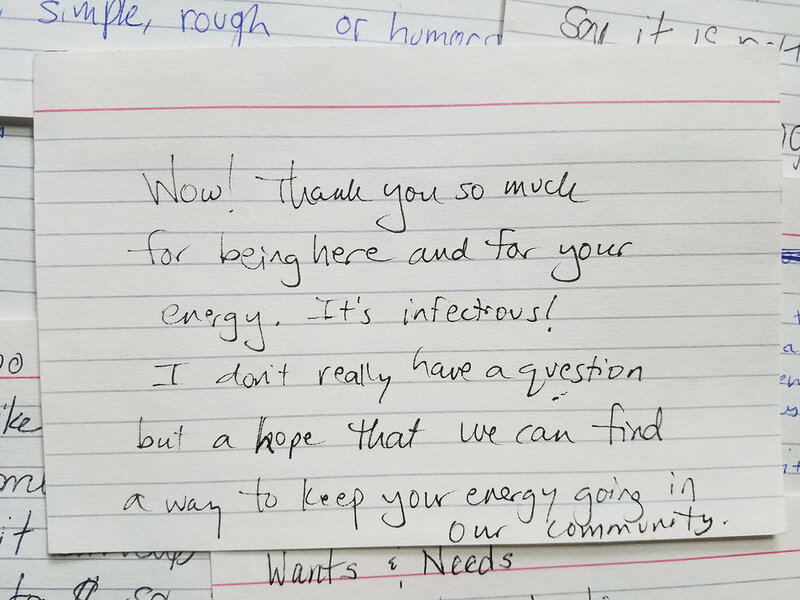 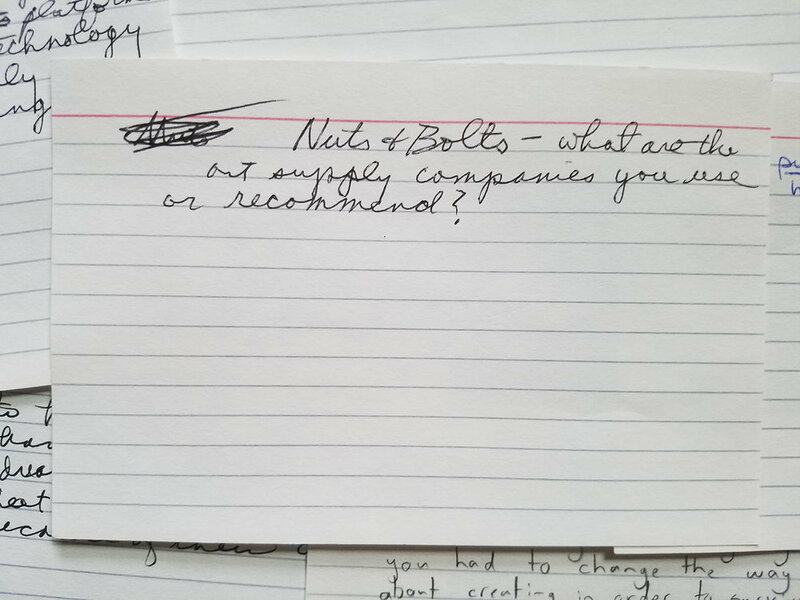 University of California, Davis, Davis, CA, April 6, 2017, 58 attendees, 29 written questions. 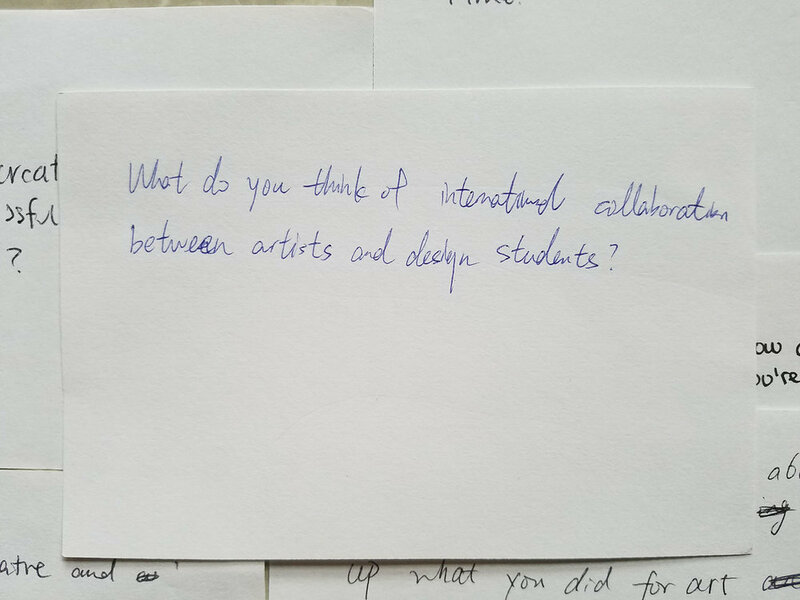 Visual Arts at Chautauqua Institution, Chautauqua, NY, July 26, 2017, 55 attendees, 30 written questions. 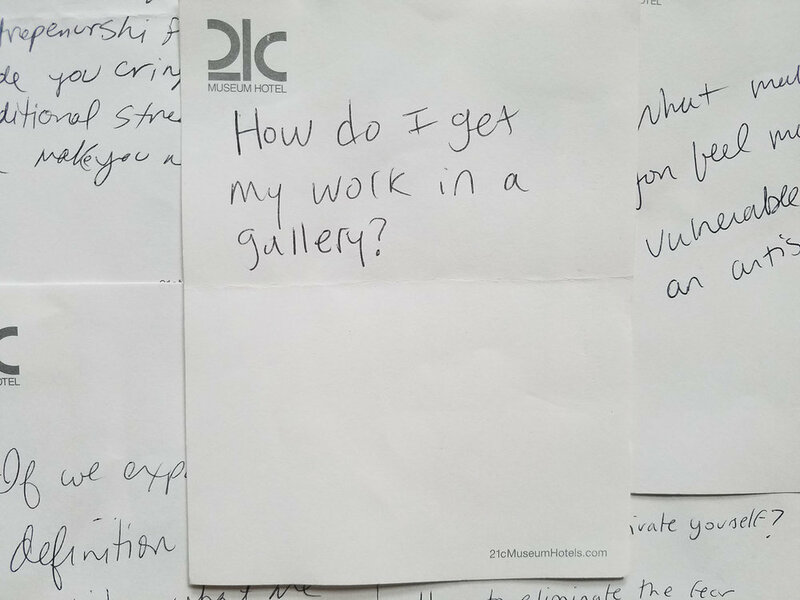 21c Museum Hotel, Cincinnati, OH, August 24, 2017, 80 attendees, 9 written questions. 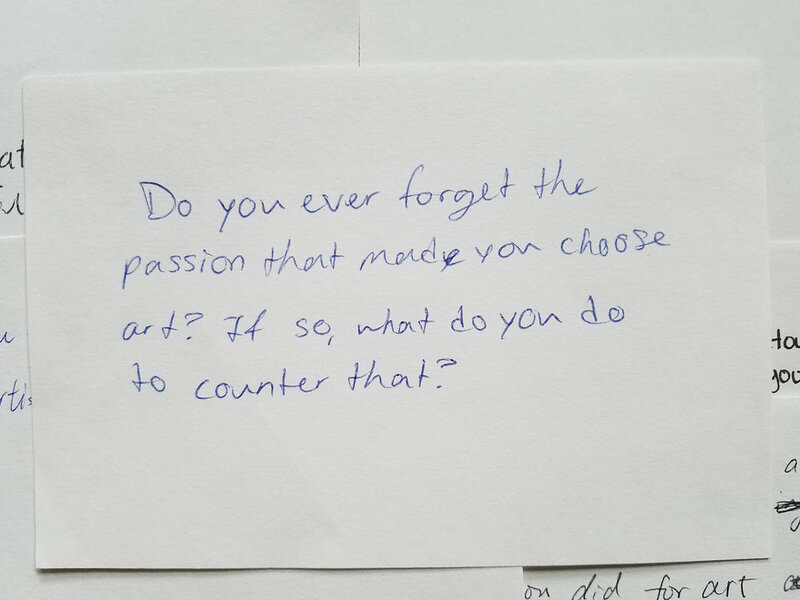 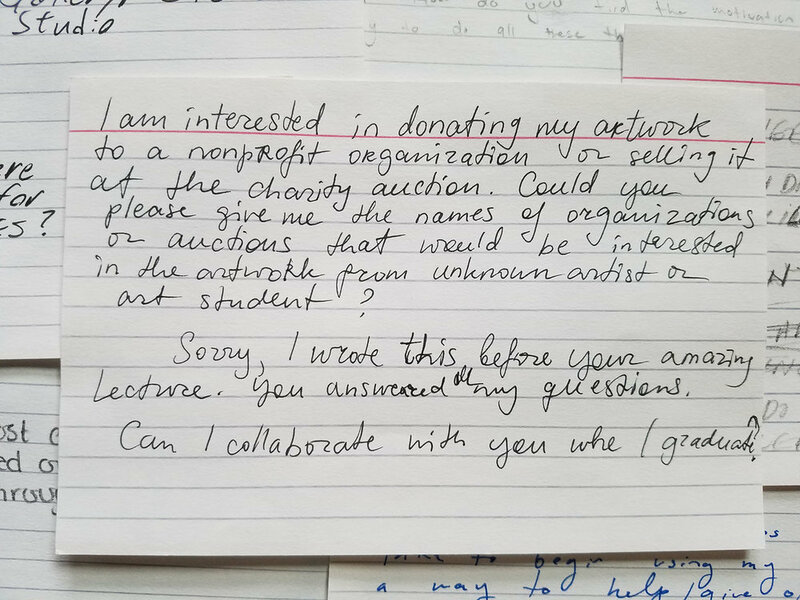 Maine College of Art, Portland, ME, October 6, 2017, 148 attendees, 56 written questions. 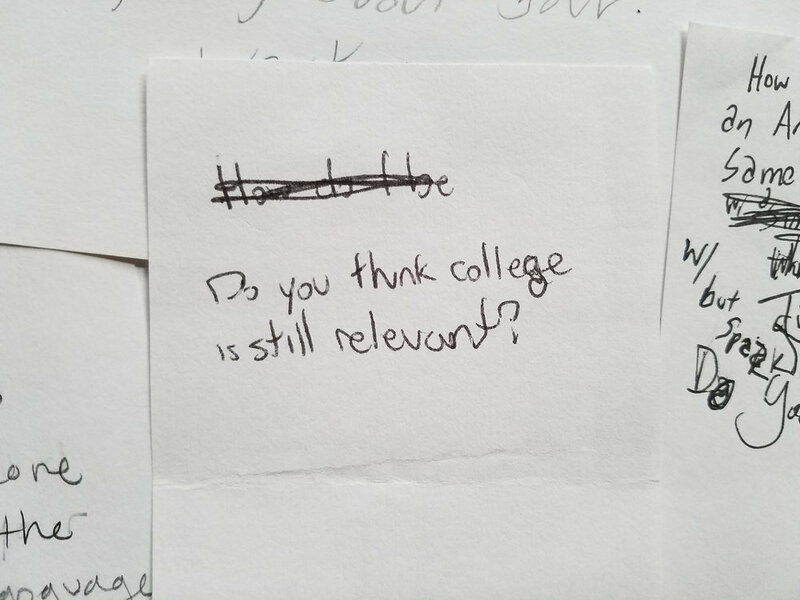 University of North Texas, Denton, TX, March 7, 2018, 119 attendees, 53 written questions. 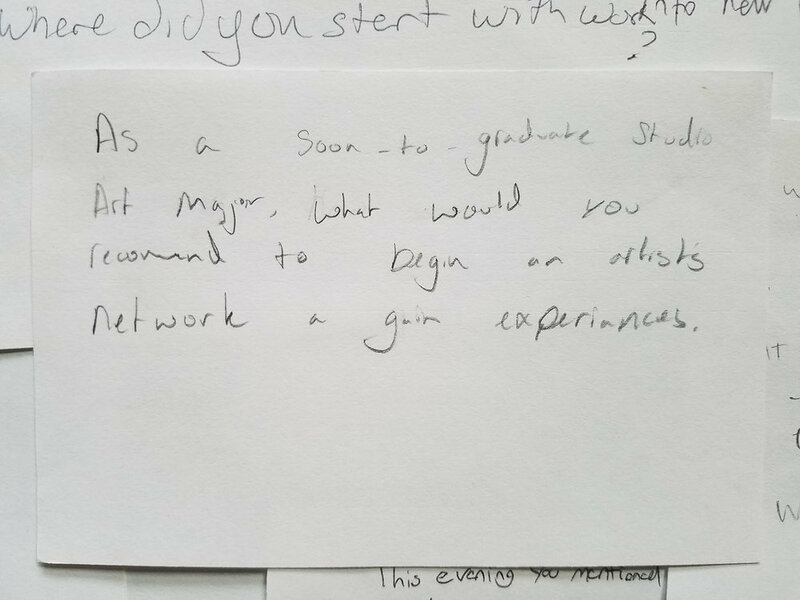 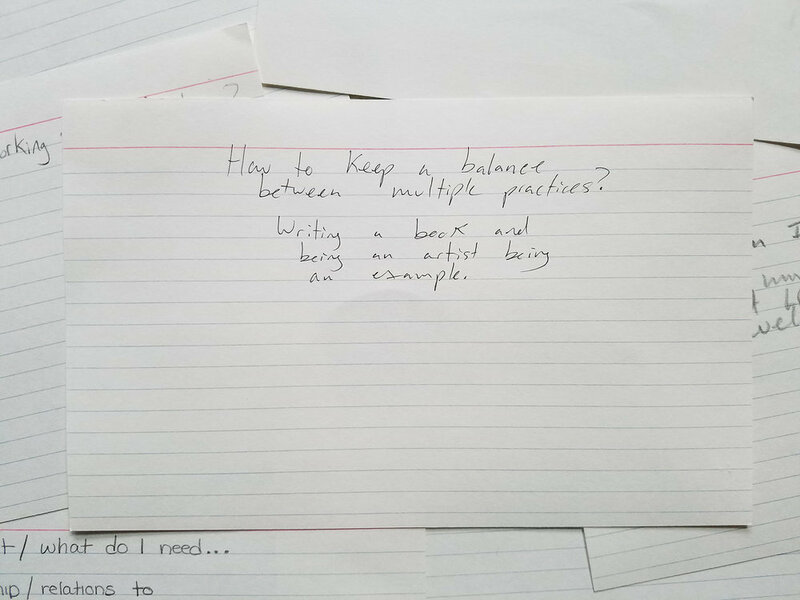 Eastern Michigan University, Ypsilanti, MI, April 3, 2018, 92 attendees, 32 written questions. 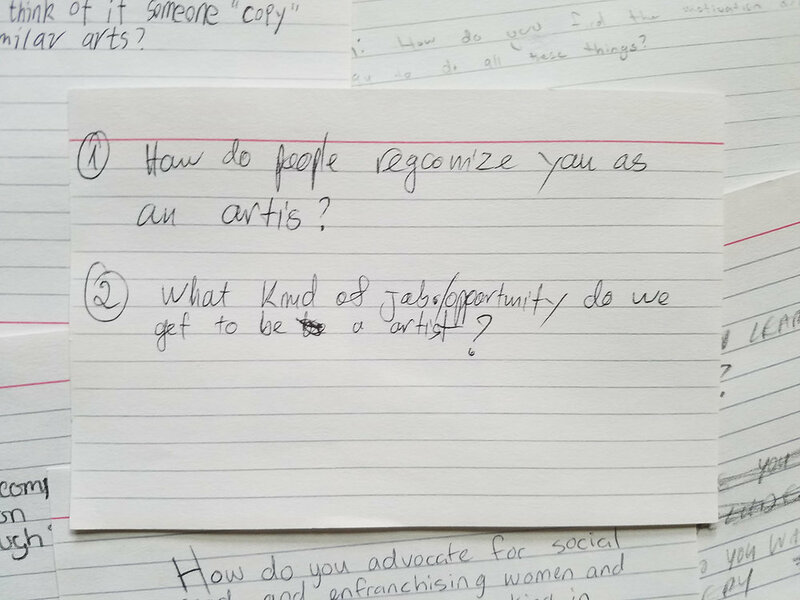 Fairbanks Arts Association, Bear Art Gallery, Fairbanks, AK, April 20, 2018, 19 attendees, 21 written questions.